Mauritius has a very wide range of hotels, ranging from 2 to 5 stars. Whatever the standard of accommodation you choose, know that each one plays the quality card and will make every effort to ensure the satisfaction of its guests hosts. Here is a sneak peek at the hotels of the island. Located a few hundred meters from the village of Grand Baie, on the edge of a superb lagoon with translucent waters, this luxury jewel has been rightly considered Le Palace de Maurice for nearly 20 years. Its legendary hospitality and the professionalism of its staff are recognized throughout the world. Its “Spa by Clarins”, one of the most beautiful on the island, guarantees soothing moments in an exceptional setting. At the Royal Palm Mauritius, you get pampered and you feel good! This beachfront hotel is rated “The Leading Hotels of the World”, an additional guarantee of quality for the Mauritius palace. With its perfect service, its excellent table and its magnificent Spa, Le Royal Palm is an unmissable address. The staff knows your name, the welcome is personalized … in short, a prestigious address! 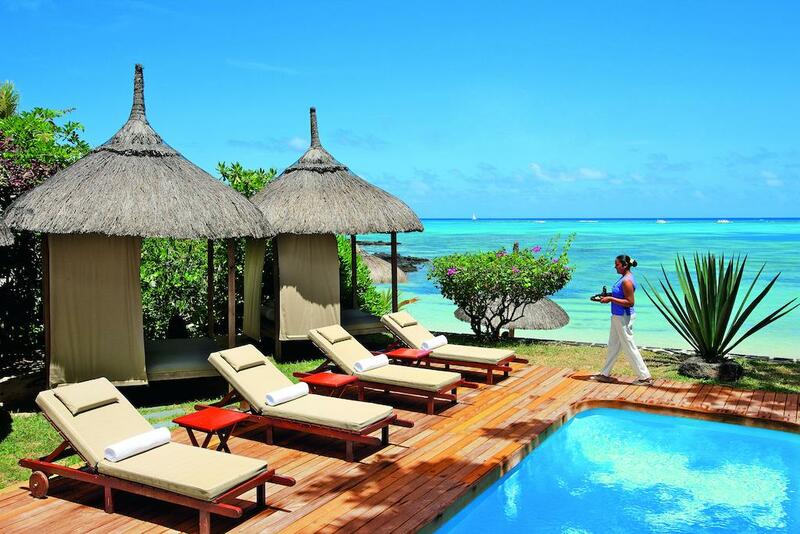 The Trou aux Biches Resort & Spa is located along the most beautiful beach on the North-West coast of Mauritius. Just 10 minutes from the lively center of Grand Bay, this 5-star deluxe hotel is surrounded by a 35-hectare tropical garden bordering the crystal-clear lagoon. 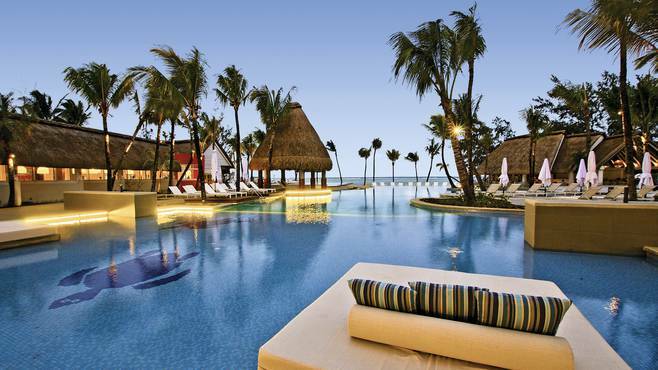 The Trou aux Biches Resort & Spa adopts a mostly exotic style. The suites are elegant and spacious, the 2 or 3 bedroom private villas are ideal for families or groups of friends. An idyllic setting with six restaurants, a spa, a Bob Marlin mini club with its own restaurant, a teens club for teenagers and a range of water and land activities. It will seduce families thanks to these 2 or 3-bedroom villas, animation enthusiasts by its proximity to Grand Bay and gourmets with the choice among 6 restaurants! A superb address that we recommend. A hotel signed “Attitude” located on the north coast of Mauritius, near the fishing village of Grand Gaube. The Zilwa Attitude is authentic with its thatched roof architecture and rustic decoration customized by local artists. The Zilwa Attitude is an invitation to discover the culture and traditions of the tropical island. Ideal for a family holiday, the hotel will allow you to recharge your batteries while sharing the simple and atypical life of the islanders. From the beautiful Zilwa beach you can see the five islands of the north: Coin de Mire, Flat Island, Round Island, Snake Island and Gabriel Island. The Zilwa Attitude is a hotel with the soul of Mauritius. Superb environment, comfortable and well thought-out rooms, delicious local cuisine and a multitude of activities. Ideal for a family holiday, the young and the old will spend an unforgettable holiday in Mauritius! Our advice: enjoy a massage on the small desert island. Paradise Cove is a small romantic hotel with typical Mauritian architecture. Lové in a pretty cove, a small private bay in Anse la Raie, it offers a panoramic view on the 5 islands of the North. Ideal for lovers and couples on wedding trips, Paradise Cove offers an exceptional setting and a unique concept featuring special moments, ” you & me moments ”. Contemplate the romantic stars, dine by candlelight in front of the cove of the hotel or admire the sunset on a sailboat. Guests can enjoy personalized service at this intimate boutique hotel and the treatments available at the Cinq Mondes Spa. The Paradise Cove guarantees a stay of luxury, relaxation, escape and romance in a little corner of paradise. Paradise Cove has a very romantic setting: a verdant garden, “lovenest corners” (small private beach), cocooning rooms etc … It is the ideal address for a request in marriage or the most beautiful of the honeymoon. From its infinity pool, you will enjoy a view of the northern islands. Superb. The Paradise Cove does not have a large beach, but you quickly forget it and you take advantage of the depth of the ocean in direct access from the jetty. Situated in the heart of Mauritius, this luxurious hotel is located in the heart of Mauritius. 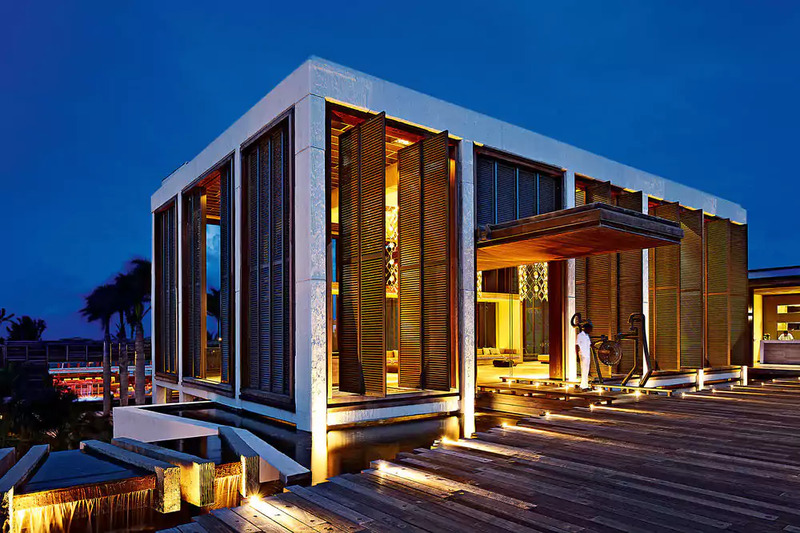 Featuring natural tropical elements such as lava rocks, the contemporary architecture of the hotel is sublimated by large teak wood decks overlooking the lagoon and design restaurants with eclectic ambiences. In the evening, go to the Mystique bar to enjoy the sunset on a background of lounge music, mixed in live by the resident DJ. – Faces the marine reserve – Baie des Tortues. 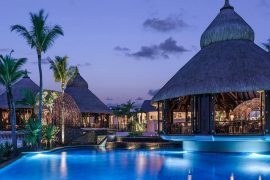 The Westin Turtle Bay Resort and Spa is one of the young, chic and trendy addresses in Mauritius. Common areas are modern and trendy. The rooms and suites remain classic in their decoration. At sunset, we advise you to taste some tapas and cocktails of exotic fruits at the Mystique bar. Exceptional! 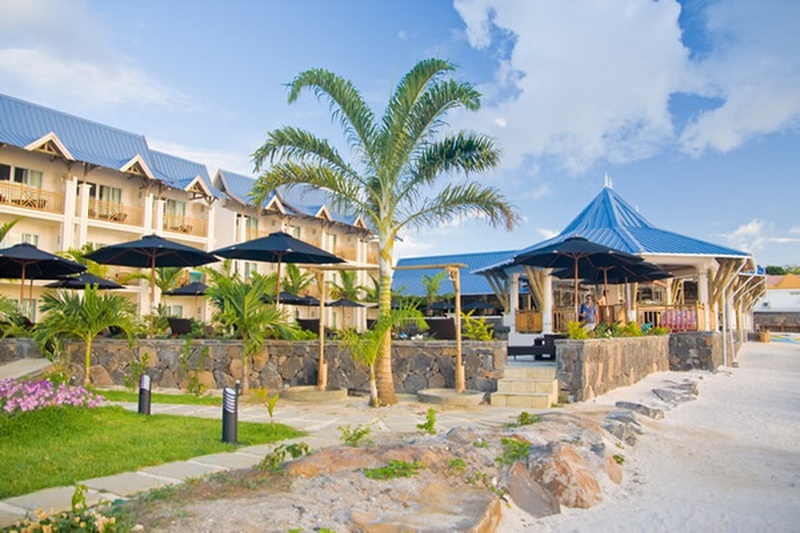 A 3 * hotel that has kept its authenticity and charm Mauritius, near Grand Bay. Close to a beautiful sheltered beach, a few minutes walk from the seaside resort of Grand Bay, the Merville Beach is an oasis of calm. This hotel offers all the wealth of Creole and French heritage of the island: it offers rooms and bungalows with traditional architecture (stone walls and thatched roofs). Merville is also lucky to have one of the most beautiful beaches in the north of the island and a Spa facing the lagoon. This hotel is bordered by a beautiful beach. Particularly recommended for travelers who wish to enjoy both the water sports and the entertainment of Grand Bay. Test the best pizzeria in Mauritius! 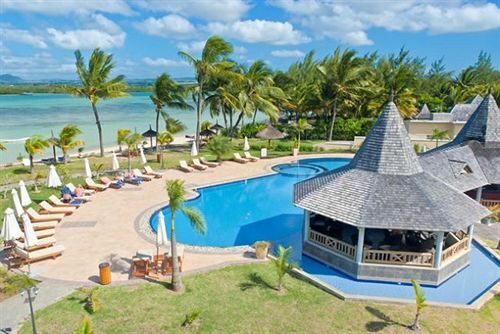 The Veranda Pointe aux Biches is a very friendly hotel located in Pointe-aux-Piments, in the north-west of Mauritius. This area is popular with snorkelers because it is home to a marine reserve. Its location, equidistant from Grand-Baie and Port Louis, will allow you to discover the country easily. Particularly recommended for families, this establishment is also suitable for couples who will be able to stay in the wing exclusively reserved for adults. The Hotel Veranda Pointe aux Biches boasts a modern and refined look that combines natural materials such as ceramics, wicker and wood. 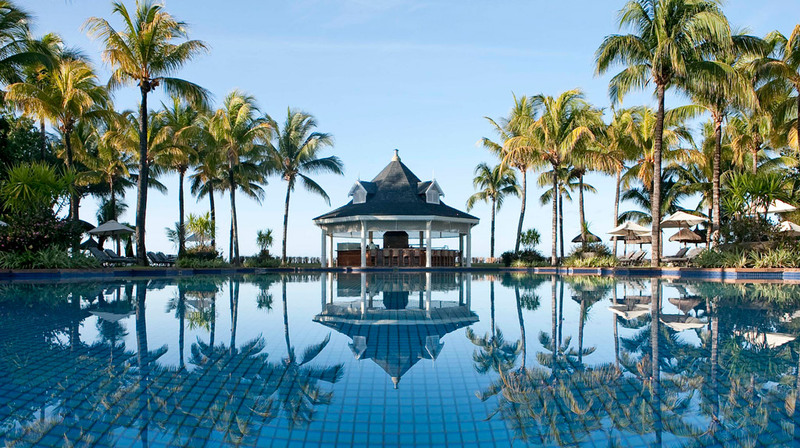 The Maritim Resort & Spa is a hotel located on the northwest coast of Mauritius between Port Louis and Grand-Baie. Lying in the private estate of Balaclava, it is surrounded by colonial ruins and vestiges, scattered in a beautiful park with a magnificent view of the Turtle Bay. Its 9-holes course PAR 29 will allow golf lovers to work their swing during their holidays in Mauritius. The Maritim invites you to discover its gourmet restaurant, the “Château Mon Désir” which unveils an Asian fusion cuisine in a superb colonial house. – a complete choice of sports and leisure. It might be considered obsolete, but it is not! Certainly, it dates from the last century, certainly it is very classic, but extremely well maintained. The service is impeccable and rigorous. It also has a long beach, a beautiful spa, a golf course and a riding center. Unique to Mauritius. Reef Attitude is located on the northwest coast of Mauritius, about 5 minutes drive from the center of Pointe aux Piments and 60 kilometers from the airport. The seaside resort of Grand Baie and Port Louis are 15 and 25 minutes’ drive from the hotel. This charming establishment, exclusively reserved for adults, is the ideal place to recharge your batteries and find yourselves as a couple or friends. You will appreciate its purified architecture and its rooms furnished with taste and authenticity. An ideal address that guarantees an intimate stay in an authentic and zen atmosphere. Le Récif is a small boutique hotel full of elegance, its location in Pointe aux Piments and facing a lagoon, will protect you from the winds. Close to Grand Bay and Pointe aux Piments, the Reef will allow you to enjoy its tranquility while being just minutes from all the animations of the island. Sakoa Boutik Hotel Mauritius is a charming hotel located in the north-west of Mauritius, along the beautiful beach of Trou aux Biches. It is about 20 minutes’ drive from Port Louis, 5 minutes from Grand Bay and 1:15 from the airport. You will appreciate its peaceful atmosphere and spacious rooms, some of which offer a magnificent view of the ocean. Its Spa Seven Colors, its à la carte restaurant and its ideal location on the edge of a sublime sandy beach make it an ideal address for a successful couple or family holiday in Mauritius. The Sakoa Boutik Hotel Mauritius is our favorite on Trou aux Biches. An exceptional beach, wide, fine sand and more full west. Ideal for sunsets. The rooms are spacious, tropical style, you will immediately be on vacation. Its location allows you to get out easily and test restaurants nearby. 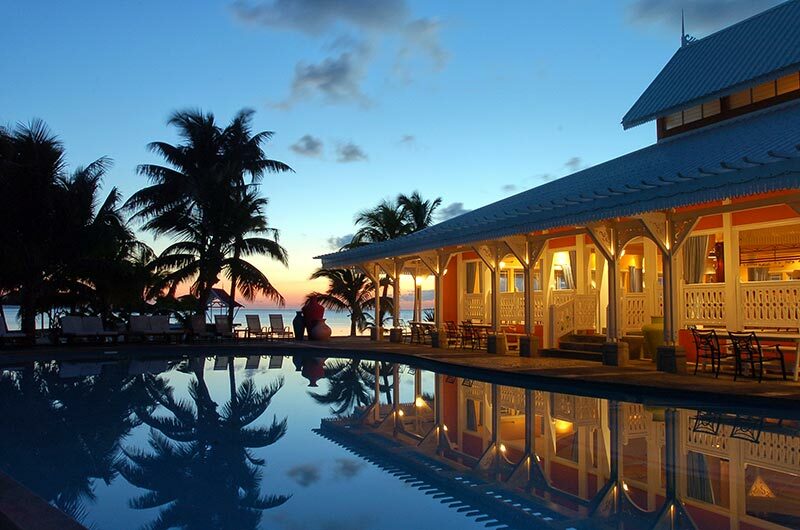 A large, lively resort in Balaclava’s Turtle Bay. The Ravenala Attitude is located in the north-west of Mauritius, on the Bay of Tortoises, between Grand Bay and Port Louis. Blending colonial style and modern lines, this hotel is nestled in a vast exotic garden, between sea and river. Family-friendly with spacious suites, lovely beach, children’s clubs and two large swimming pools, this resort also has an adult-only wing. – extensive choice of catering. The Ravenala Attitude is a great success! An ideal mix between modernity and Mauritian tradition. 10 restaurants, a spa under the coconut trees, animation and family rooms are the assets of this establishment signed “Attitude”. Located in Grand Baie, close to the city center and its vibrancy, Veranda Grand Baie Hotel & Spa welcomes you in a beautiful tropical garden by the sea. This small Creole jewel offers quality accommodation and numerous activities in the immediate vicinity of Grand Bay and its attractions. The public beach of La Cuvette, adjoining the hotel, allows you to enjoy a beautiful long walk with your feet in the fine sand or a very pleasant swimming. 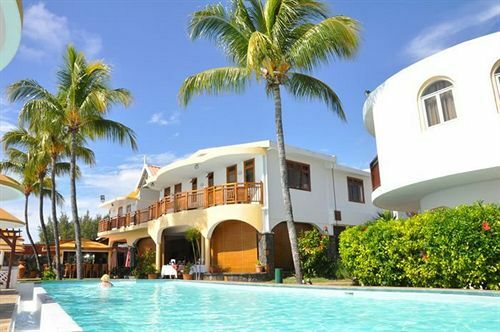 A typical Creole-style hotel, which not only offers you a lovely beach and modern rooms, but also to discover the Mauritian life in the lively center of Grand Baie, a 5-minute walk from the hotel.A very good address, with excellent value for money! Situated on the North Shore of Mauritius, the Radisson Blu Azuri Resort & Spa is located on a 170-hectare estate in front of the Azuri Lagoon. After the Radisson Blu Poste Lafayette, the newest member of the Radisson group opened its doors recently, although it is still under construction. 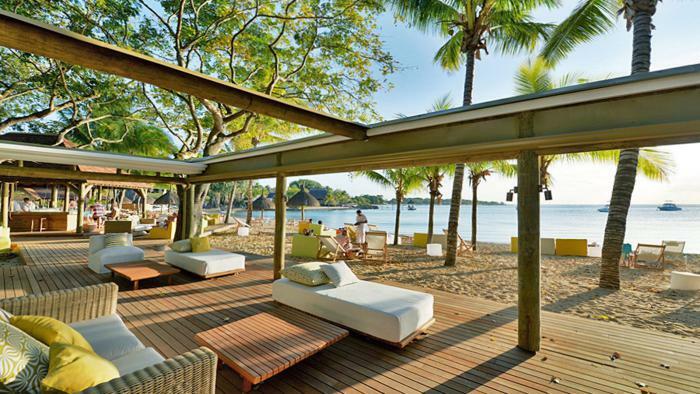 The Radisson Blu Azuri Resort & Spa is only 25 km from Port Louis, the capital and 1 hour from the international airport. – Nice rooms, well appointed. The Radisson Blu Azuri Resort & Spa is a hotel for couples with beautiful suites with small private pool. The beach is small and few rooms have a sea view. Be aware that there are more beautiful sites in Mauritius. A romantic setting for a successful honeymoon! Located in the heart of the fishing village of Grand Gaube, on the edge of a beach on the northeast coast of the island, the Veranda Paul & Virginie Hotel & Spa transports you to the world of Bernardin de St Pierre’s famous novel. Thatched roofs, exposed stonework, refinement of the furniture and romanticism of the setting … This small charm exclusively reserved for adults, with a breathtaking view on the islands of the north, is the ideal refuge to meet as a couple. The authentically Mauritian charm of the Veranda Paul and Virginie will seduce you as soon as you arrive. 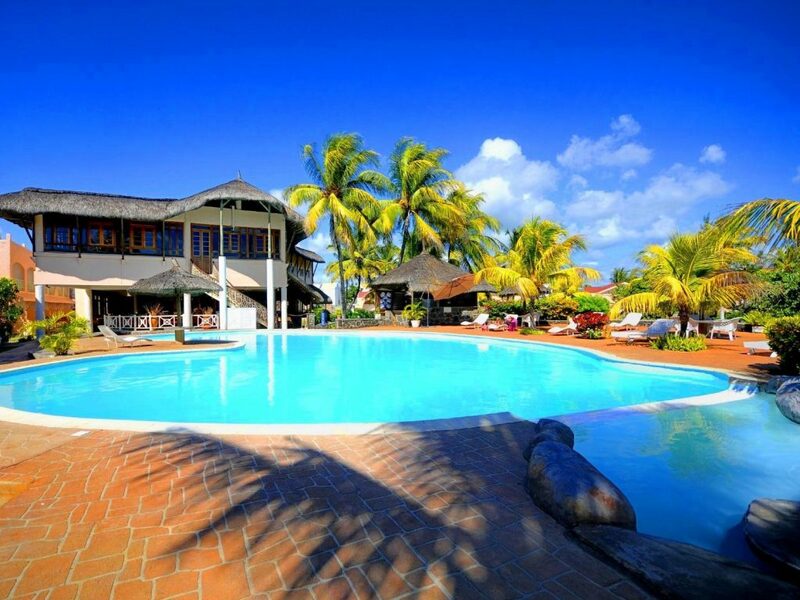 – its location on the beach, in the heart of the fishing village of Grand Gaube. 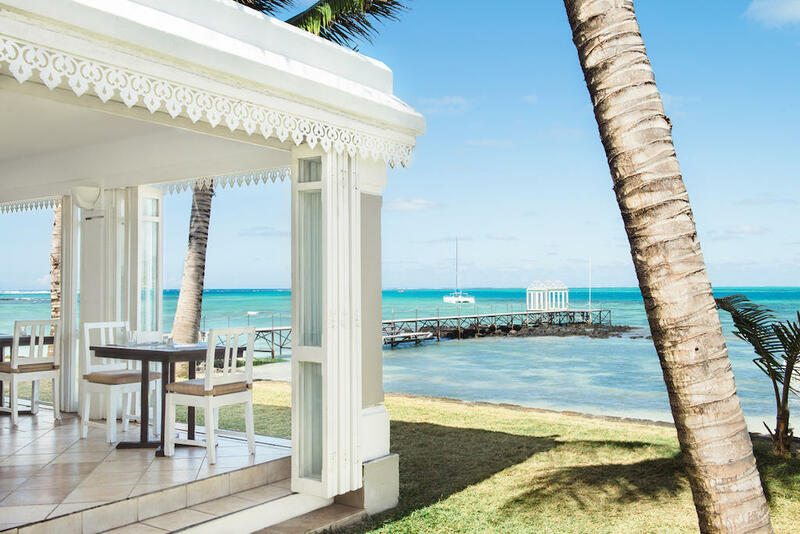 The Veranda Paul & Virginie offers a romantic setting worthy of Bernardin de St Pierre’s novel as well as a warm and relaxed atmosphere… To get married in Mauritius, the hotel offers packages, and the possibility of renewing your wedding vows. A wedding kiosk is also available by the sea. 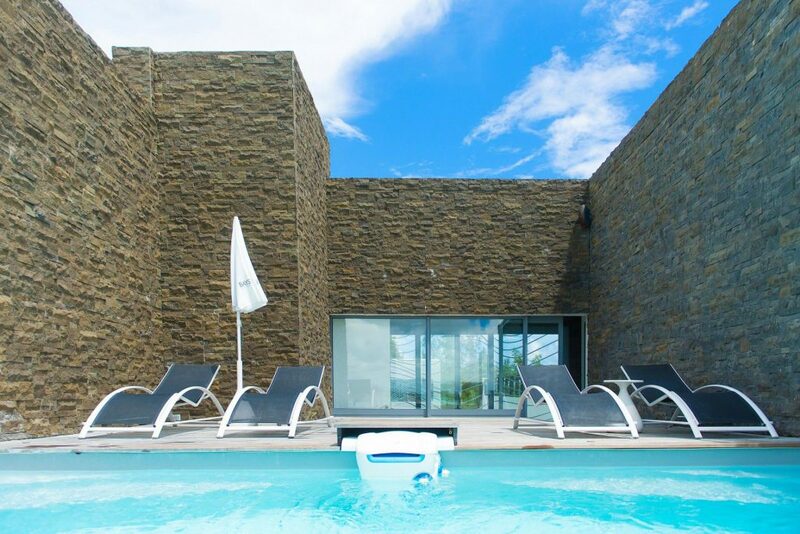 Baystone Boutique Hotel & Spa is located in the centre of Pointe aux Canonniers, 2 km from the centre of Grand Baie. It offers an outdoor swimming pool, panoramic sea views and a spa. This 5 star luxury hotel has everything you could need during your escape to this exotic place. The hotel has a spa, Hammam and a rooftop pool with panoramic sea views. Its professional teams offer an array of water sports, such as water-ski, snorkeling and fishing. The beach restaurant Le Lounge serves fine dishes and has a bar. 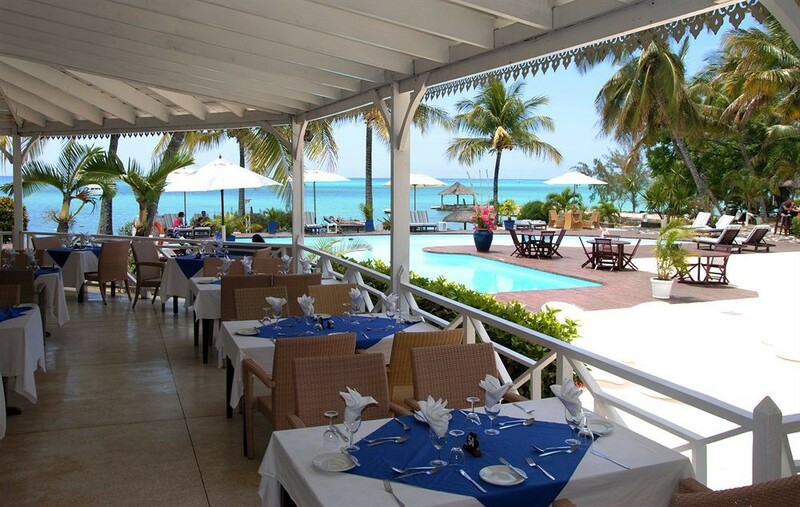 The second restaurant Le Lagoon overlooking the beach of Pointe aux Canonniers international cuisine. For unequalled wellness, take a walk visit to the spa. Benefit from massages, body and face in its outstanding location. The hotel is beautifully nestled in a private corner on one most tranquil beaches of the north of Mauritius. Everywhere is great to lay your towel for a quick tanning. The hotel is located only 2 kilometres from Grand Baie centre and all its amenities and fine white sand beaches. 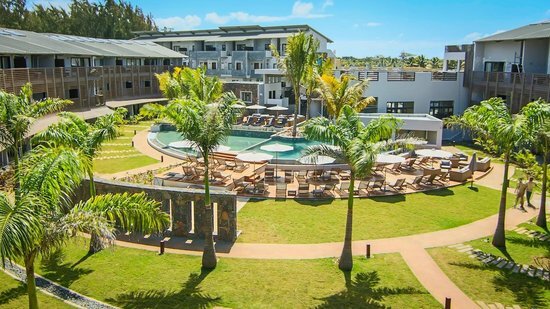 Be Cosy Apart Hotel is located just 50 metres from the sweet beach of Trou aux Biches, in the north of Mauritius (not that far from Grand Baie). This residence will meet your need if you are looking for an economical yet enjoyable accommodation. Its 102 air-conditioned rooms, fully-equipped with kitchenette with fridge and microwave. The rooms have balconies and free wireless internet connection. Conveniences include a safe, a desk, and a phone. The apartment-like rooms can accommodate a maximum of 5 people, so a good choice for family and friends holidays. Unquestionably contemporary, this apartment hotel offers cosy apartments. Attached to many shops, you will have during your stay easy access to the restaurant, spa, grocery store and boutiques. The hotel has a restaurant, bar, lounge and an attractive pool. This hotel is a good choice if you are looking for a tranquil hotel to enjoy the northern part of the island. Calodyne sur mer looks out on the turquoise bay of Calodyne revealing an original view on the northern group of islets, especially Le Coin de Mire. Its lush garden pairs with the warm and tempting bay and spreads out onto the coast. Recently renovated, the hotel comprises of 82 rooms. The rooms reflect a tropical décor with Asian influences. All rooms have private bathroom with shower or bathtub, hairdryer. 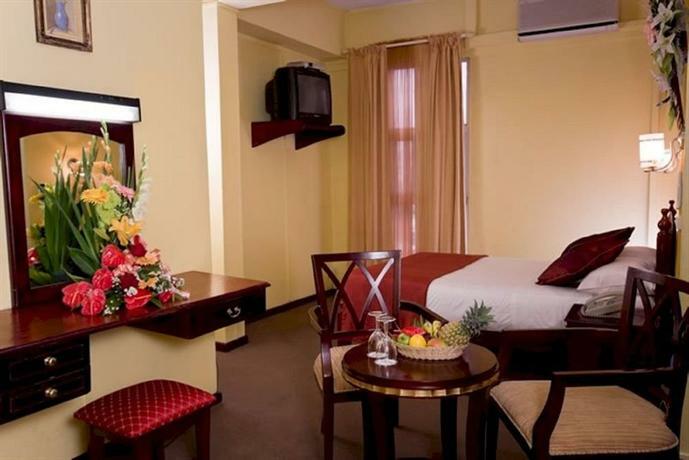 This serviced hotel offers double or king-size beds and rooms are equipped with a telephone, TV, safe and small fridge. Further furnishings include air conditioning and a balcony or terrace. The hotel has a restaurant serving a fusion cuisine in a very creole ambiance. Guests can also enjoy a themed buffet and a variety of local delicacies. The hotel offers guests entertainment such as live music bands, dance shows, fire shows, cabaret and traditional Sega animation. Water sports enthusiasts may enjoy diving (for an additional fee), canoeing or pedal boating. The complex also has installations for table tennis, pool, snooker and beach volley. Casa Florida hotel & spa is located in the small village of Pereybere, just 3 km from Grand Bay in the north of the island. The hotel offers a wide variety of rooms, and looks the ideal stay for family holidays on a budget. The rooms fully equipped to lodge the whole family, but no kid’s club is available. The hotel offers many facilities such as live music bands, Free Wi-Fi in all rooms, airport transfer service, and babysitting. Casa Florida has an outdoor pool. The hotel is not located on the beach but the public beach of Pereybere is just 3 minutes’ walk away. Think of bringing or buying your beach towel, as the hotel does not make provision for this. Les Camelias, the hotel’s restaurant, is open for breakfast, lunch and dinner and serves local, European and Chinese dishes. Guests can enjoy a refreshing drink at Casa Bar. At the hotel’s spa, guests can enjoy relaxing massages. The professional masseuses will be at your service for a complete moment of relaxation and wellness. Located in the north west of the island, not far from Grand-Baie (10 minutes car drive) Club Med La Pointe aux Canonniers is a wonderful holiday village. Common area like the spacious pool, bar, restaurant, front desk saloon, are located at the centre of the village. 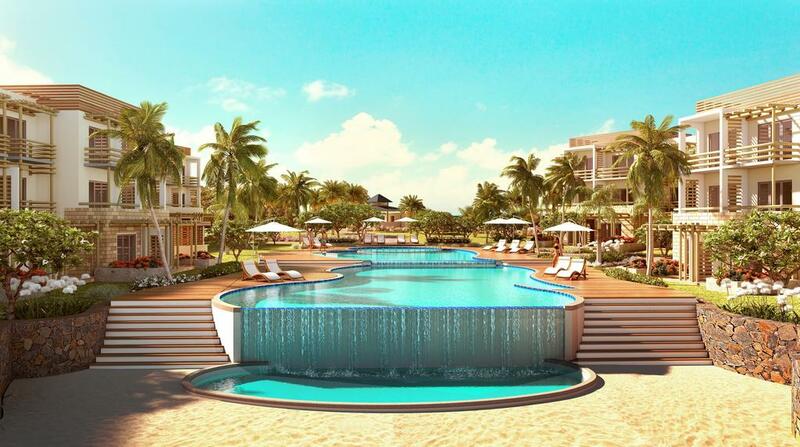 The Club Med resort opens up beautifully on the turquoise lagoon of Pointe aux Canonniers. 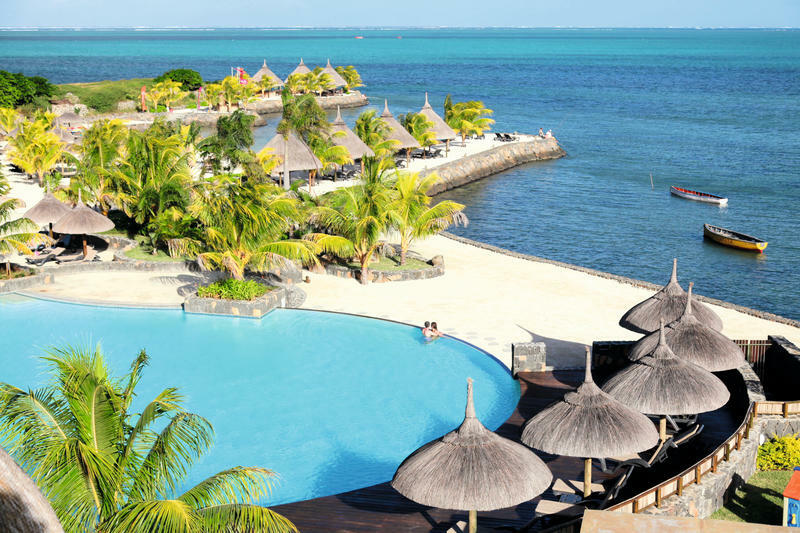 This hotel offers an all-inclusive stay and everything has been planned to make guests of all age enjoy the very best of Mauritius, whether it is the beach, activities, accommodation or hospitality. Coin de Mire Attitude Hotel is located on the north tip of the island, just 4 kilometres from the touristic village of Grand Baie. The hotel opens on a beautiful beach with clear view over the majestic Coin de Mire Island. The hotel itself is a culture trip to Mauritius! Rooms and shared places have authentic creole décor, mostly made from wood. The hotel offers a wide range of services that to pamper all of their guests. To name a few of the hotel’s facilities, airport transfer, Wi-Fi in public areas, bicycle rental, shops. For your convenience, air conditioning, Satellite television, ceiling fan are among the amenities guests will find in every room. The hotel offers an excellent variety of recreational facilities, including outdoor pool, gym, spa, kids club. During your stay at the Coin de Mire Attitude Hotel, you will find a friendly atmosphere and excellent service. The main restaurant, located by the pool, it has typical in decor with wooden furniture and thatched roof. The restaurant offers breakfast, lunch and dinner buffet. 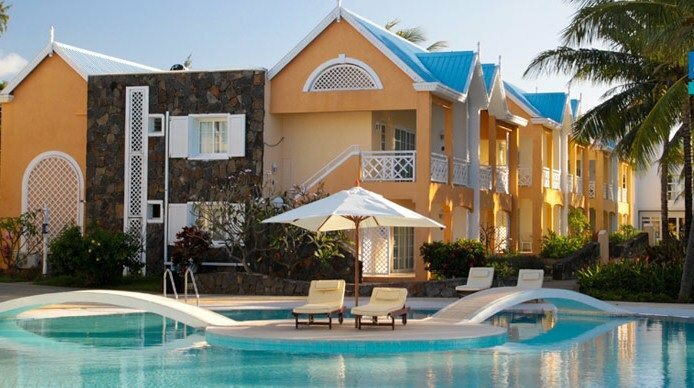 Ideally located on a tranquil beach of Tombeau Bay, Cocotier Hotel is a 2 star complex that looks ideal for families and travelers on a budget. Businessmen will also appreciate its closeness to the capital Port Louis, just 9 kilometres away. The bungalows are surrounded by a tropical garden, and the hotel features a decent pool at the centre. There is also a pool for children to soak in complete security. Free Wi-Fi is available in rooms and throughout the entire hotel. The rooms have a simple but space-friendly décor with balcony or terrace overlooking the beach or the city. Each room is equipped with a mini bar, private shower, air-conditioning, flat screen TV and a furnished terrace. 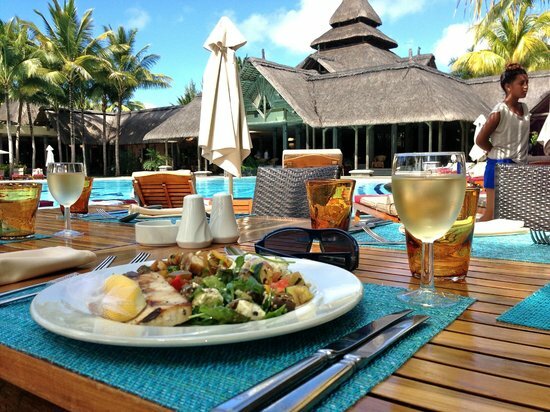 Fresh breakfast is served every day in its friendly restaurant located few steps near the beach. Its typical Mauritian architecture with stone walls and thatched roof add to its charm and you’ll find mainly traditional Mauritian dishes, like seafood, fish curry & rice and other delicacies. 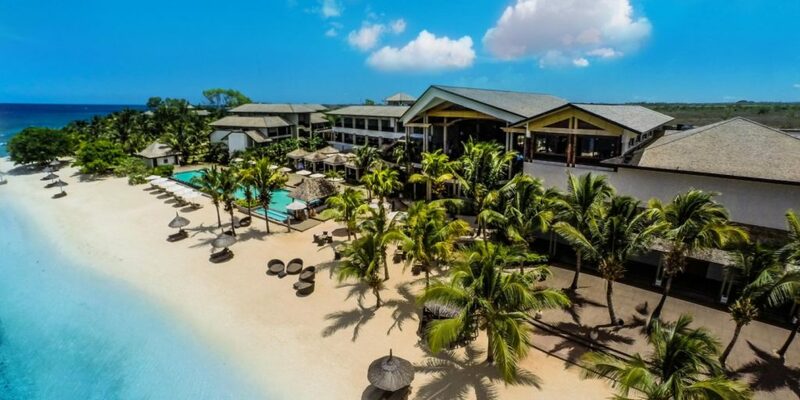 Coral Azur Beach Resort is a pleasant small hotel located between Grand Baie and Trou aux Biches, along an almost all-year-round deserted beach, bordered by the transparent waters of the lagoon of Mont Choisy. The hotel is nestled in a tropical garden full of palm and coconut trees. Its simple architecture and staff reflect a convivial and authentic creole atmosphere further enhanced by the presence of a beautiful beach. The resort has 88 rooms fully equipped with air-conditioning, telephone, individual safe, bathroom, hairdryer and television. Treat yourself with a moment of complete relaxation at the hotel’s spa. The in-house therapists provide body and facial well-being treatments in an already soothing environment. An outdoor swimming pool is at your disposal for moments of pure relaxation. A kid’s club with a wide range of recreational and sporting activities is also available from Monday to Saturday. Located just few metres from the public beach of Pereybere, Hibiscus Beach Resort & Spa is a charming 3 star hotel to enjoy all that Grand Baie has to offer. Close to numerous points of interest, amenities and other tourism facilities, this hotel is also an attraction on its own. Hibiscus Beach Resort & Spa has 50 rooms equipped with air conditioning, minibar, safe, flat screen TV, desk, telephone and private bath with bathrobes and hairdryer. It has a wellness centre & spa, an outdoor pool, a fitness centre, a business centre, a restaurant, a poolside bar, a dive centre, indoor and outdoor games and a kids club. The hotel faces the northern islands reachable by boat or catamaran trips. But the real beauty of the region is hidden dozen of metres under the sea; some of the best scuba diving spots in Mauritius. Reason why the hotel has its own diving club. This is a truly amazing experience to try in the north for first-timers or seasonal pros. 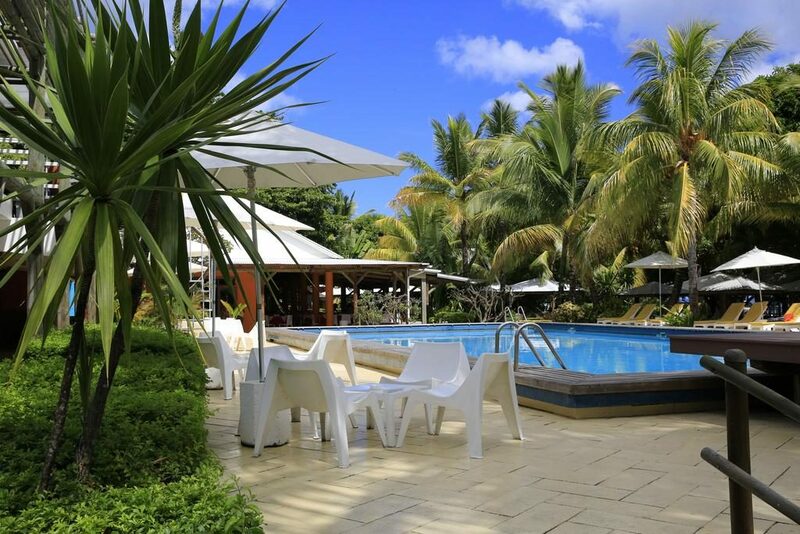 Beautifully nestled in a lush tropical garden 50 metres from the popular beaches of Mont Choisy, Hotel des Deux Mondes is a small hotel with great facilities. It will fit couple or family holidays on a budget or staying in the north for a day or two. The hotel comprises of 16 simple or double rooms and 1 bungalow of 2 bedrooms. All the rooms have been beautifully decorated and fully equipped with private bathrooms. Hotel des Deux Mondes has a common outdoor swimming pool equipped with deck chair. This 2 star hotel also has a newly built spa with several massage rooms for its guest to relax in an enchanting atmosphere. You’ll also appreciate the hotel’s restaurant serving local and international cuisine. You’ll love the bar and lounge area to chill out in the evening with live music and entertainment. Also the hotel is located not far from Grand Baie resort and its numerous nightclubs, bars and shopping malls. The airport is 1 hour drive away. 20 Degree Sud is well-appointed boutique hotel combining charm, wellness and comfort in a dreamy tropical setting in the north-west of the island. The hotel borders serene turquoise waters in a privileged location halfway between Pointe aux Canonniers and Grand Baie resort. Each of its 34 rooms and suites have been tastefully decorated with a real sense of detail and personalised decoration. The hotel’s accommodation comprises of 19 Charm Rooms, 9 Seafront Rooms, and 4 suites. The hotel has a beautiful view over northern group of island; Coin de Mire, Plate Island and Round Island. Discover a refined selection of Mauritian cuisine at the hotel’s in-house restaurant. The second restaurant of the hotel is located on Plate Island. Quite original to take the boat to discover La Maison du Gouverneur restaurant classified as a historical monument. 20 Degree Sud also features a bar located near the pool to pamper its guests with cocktails, tropical juices, traditional rum and a myriad of wines. Jalsa Beach Hotel overlooks a turquoise lagoon with amazing views over picturesque mountains. 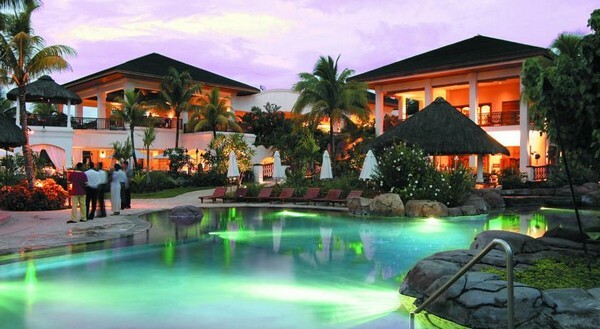 This 4 star hotel is set in tropical gardens and has a large swimming pool. With its ideal location on the north east coast of Poste Lafayette, Jalsa Beach offers numerous beach facilities like diving and snorkeling. 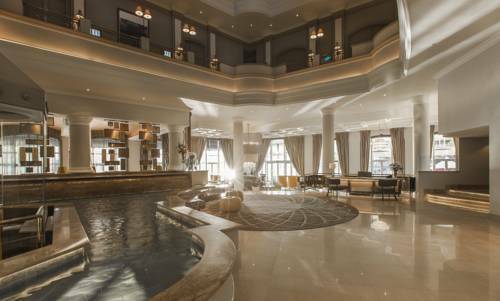 This 66-room hotel was built in 2009 and features a lobby with a 24-hour reception, a modern spa, currency exchange desk, a lift, Bar and restaurant. The atmosphere is very relaxing and enjoyable as the sumptuous garden and the warm colours blend nicely and attractively. The restaurant offers European-style buffets but also a nice palette of Indian and local Mauritian gastronomy. Cocktails and drinks can be enjoyed at the Dodo Tropical Bar or Rum Point, which is next to the pool. Jalsa Beach Hotel & Spa has a private beach area and an enchanting wellness centre, offering various treatments, steam baths and holistic massages. Located on the north-eastern coast of the island, away from the hustle and bustle of major tourist areas, treat yourself with an escape to discover a very well preserved region. Maison D’été nestles on a wild piece of sand in Poste Lafayette in a convivial and truly Mauritian. This small hotel only has 16 rooms split in two complexes. All the rooms have their own sea-facing terrace with easy access to the beach and the hotel’s outdoor pool. This accommodation will delight travellers looking to immerse themselves in local charm while keeping ultimate privacy. The hotel has two very appealing restaurants. The restaurant’s décor and menu is largely inspired by Mauritian cuisine made of fresh seafood as well as local products. The second restaurant is set directly on the beach, where guest can enjoy gourmet dishes toes in the warm sand – eyes on the lagoon. Don’t miss the hotel’s lounge bar if you like wines. Le Canonnier hotel is currently under renovation until September 2017. This spacious 4 star hotel is located in front of the beautiful cove of Trou aux Biches just 5 minutes from Grand Baie resort. The hotel is also easily accessible from Port Louis and the airport is 70km away. With all its accommodations and facilities, Canonnier Beachcomber Resort & Spa is one of the best family hotels in Mauritius. The hotel offers 10 types of rooms and suites to better meet its guest’s expectation. The family duplex garden rooms is an obvious choice for two adults and up to 3 children. The hotel has 3 very different restaurants, Le Frangipanier, Le Navigator, and La Serenata offering a variety of delicacies. Canonnier hotel also presents a bar, Le Planteur Bar, open from 9 a.m. to 11 p.m. The bar and its terrace overlooks over the outdoor pool and the tropical garden. Special treats and prices are available for couples on honeymoon. The hotel also has a magical spa with six massage huts built at the heart of an old banyan tree. Located in Grand Baie, Le Mauricia is yet another piece of art from Beachcoomber groups of hotels. The hotel is characterised by its elegant simplicity, the tranquillity of its surroundings and its sublime front beach. The hotel is definitely set in a privileged location and looks ideal for a young clientele. Le Mauricia offers 8 types of accommodations with comfortable and bright rooms. The hotel has recently been renovated and all the rooms have present colourful decoration and views over the garden and the bay. The hotel has a huge pool also facing the sea surrounded by palm trees. Le Mauricia Hotel offers entertainment options such as sea excursions and live local artists. The hotel offers a gym and water sports as well as windsurfing, tennis, volleyball and kayaking for guests. Le Mauricia is also well-located for diving enthusiasts. Guest will also appreciate Beachcomber’s exclusive spa treatments and therapies. A really friendly hotel for families, couples and honeymooners. 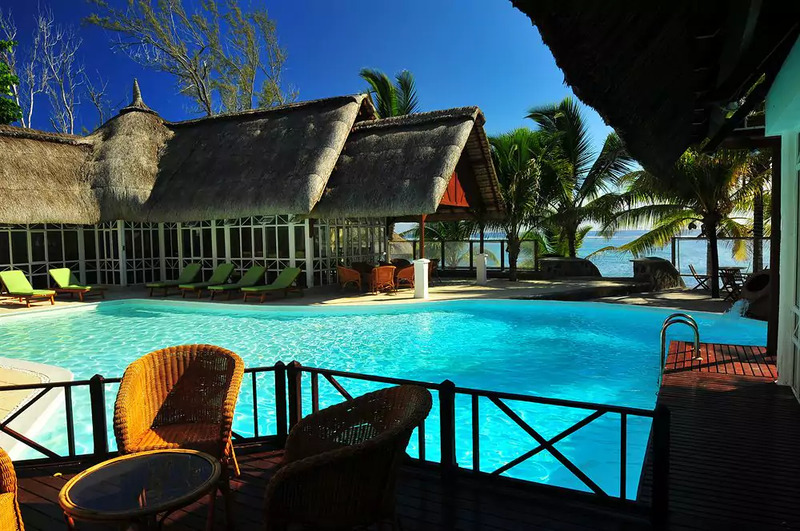 This beachfront hotel is located on the north-west coast of Mauritius, in Pointe Aux Piments, a small village bathed by the waters of the Indian Ocean. Its lush gardens provide the perfect setting for a romantic getaway. The hotel’s 265 spacious luxury rooms, located in the main building, overlook a tropical garden on the beach and a turquoise lagoon. The hotel offers numerous activities to enjoy the very best of the island’s tropical climate, beaches and creeks. The hotel has outdoor pools and its own diving centre. Le Meridien hotel offers the possibility to its guest to dine in four different restaurants, inspired cuisine trip. The hotel is ideal for family holidays, but there are many types of rooms to choose from for everyone. It is also a good choice for any businessmen looking for a hotel close to the beach and Port Louis. 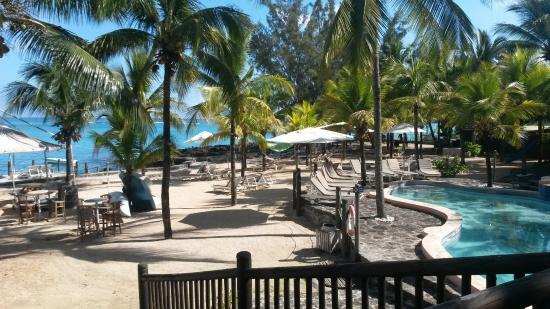 Le Palmiste Resort & Spa enjoys an expedient location in Trou aux Biches, close to the beach and a few minutes from Grand Bay’s beaches. This family-friendly hotel has different type of rooms and a wide range of leisure activities and facilities to its guests. 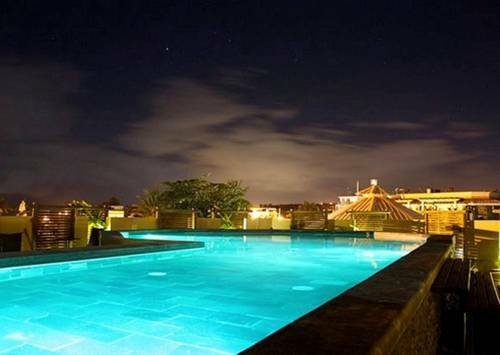 Fun is assured in this hotel which offers 3 outdoor pools, bars and a nightclub. All of the resort’s 81 fully furnished rooms come with air-conditioning, balcony, separate bathroom and minibar. Wi-Fi is also available for free in rooms and in shared areas. Le Lotus Spa will become your favourite afternoon place to be. The Spa has steam bath, beauty salon, and numerous treatment rooms where expert’s therapists offer pampering treatments using only natural products to provide guests with a blissful sense of indulgence. Visit the hotel’s in-house restaurant offering breakfast, lunch and dinner, or use room service for limited hours. Enjoy your favourite drink at the bar, lounge or at the poolside bar. Business services and other amenities include dry cleaning / laundry services, a 24-hour front desk, and multilingual staff. 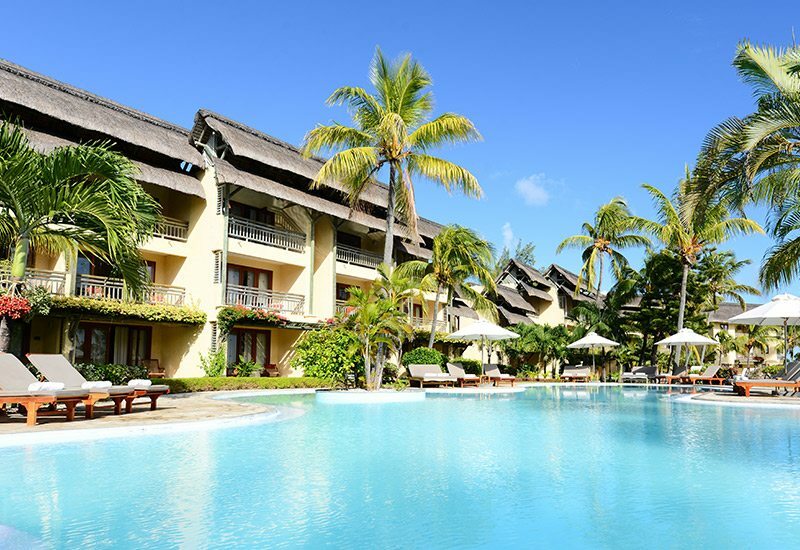 Located on the northwestern coast of Mauritius midway between Grand Baie and Port Louis, Le Victoria is a family-friendly hotel boasting loads of facilities and attractions. Sheltered from the south east trade wind, Pointe aux Piments enjoys an all year round sunny climate, favoring many beach and water sports. This beachcomber resorts hotel offers spacious and really comfortable rooms facing overlooking a protected lagoon. Victoria hotel presents seven types of rooms from junior suite, to family apartment to executive suite. The hotel has three restaurants offering the best culinary traditions from various parts of the world. The three restaurants La Superbe, La Casa and L’Horizon are set in beautiful locations overlooking the swimming pool or with panoramic views of the ocean. There is also a beach restaurant where you can relish fresh seafood an exotic atmosphere. 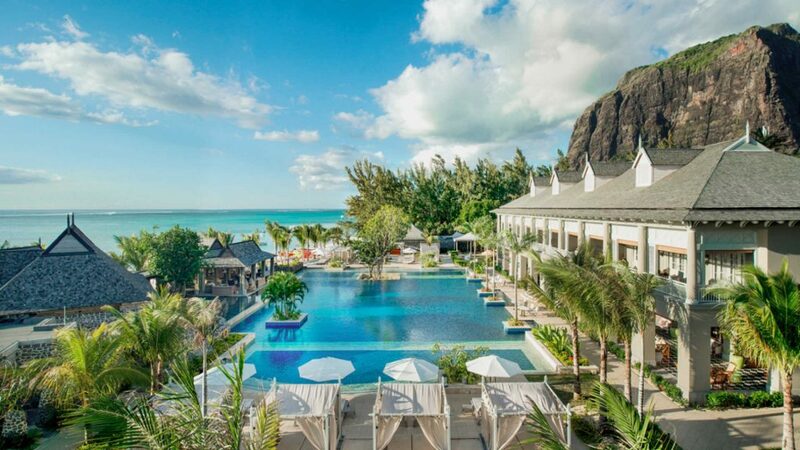 A St. Regis in Mauritius! Located on the south-western tip of the island, The St. Regis Mauritius enjoys an exceptional location on the famous beach of Le Morne, a UNESCO World Heritage Site. Featuring colonial architecture and large terraces, the St. Regis will immerse you in a Mauritius of the Victorian era. This internationally renowned chain establishment offers elegantly decorated rooms and personalized high-end services. The St. Regis is also renowned for the practice of Kite surfing because its location has a huge shallow lagoon and a steady wind practically all year round. Moreover, the hotel has its own school of Kite surfing. The St Regis offers an exceptional location on the Morne beach, a UNESCO World Heritage Site! You will appreciate the quality of its service, the elegance of its decoration and the delicacy of the dishes offered in its restaurants. 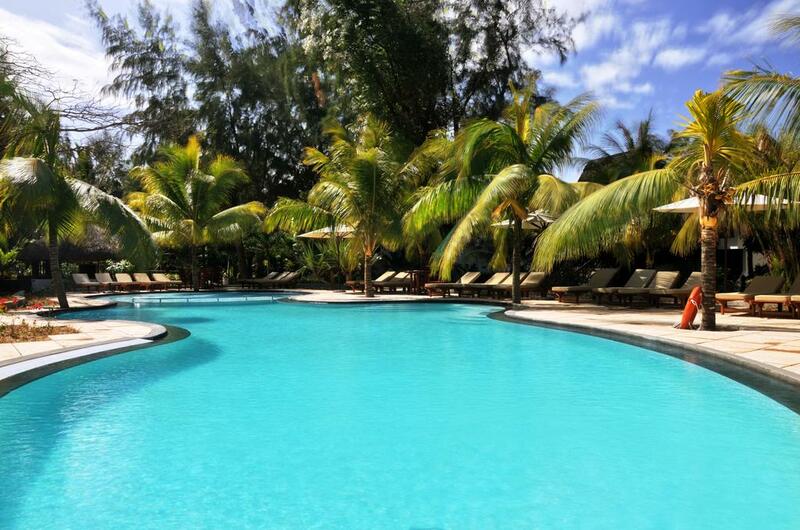 Many qualities that make it one of the best hotels in Mauritius! Situated in Tortoise Bay, a marine park in the north-west of Mauritius, The Oberoi Mauritius invites you to live a peaceful stay in an exceptional natural environment. 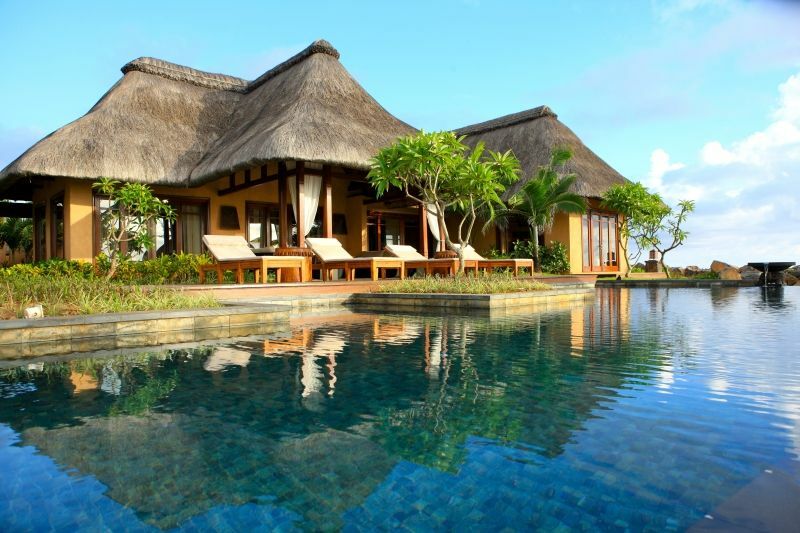 Luxurious, thatched roof villas with private pools reflect the Mauritian way of life. These pavilions are scattered in a lush garden where the nature and vestiges of French colonization reign in silence. Bordered by a stunning white sandy beach, the hotel is ideal for diving enthusiasts and honeymooners who will enjoy the peaceful atmosphere and spectacular sunsets. The SPA, surrounded by endemic trees, is a real enchantment. Extreme body and mind relaxation based on Thai, Balinese and Ayurvedic treatments in luxury and refinement. Located on the Morne-Brabant peninsula, in the heart of a large estate that opens onto the turquoise waters of the lagoon, the Beachcomber Paradis Hotel & Golf Club offers tropical architecture where stubble and timber predominate. Le Paradis is undeniably one of the best hotels in Mauritius with a quality service, a warm welcome and an atmosphere that is both elegant and relaxed. Another plus: the quality and diversity of the Paradis sports activities and its superb 18-hole golf course (ideal for beginners), at the foot of the Morne-Brabant, complete the idyllic picture of a dream holiday. The Paradis’ living spaces are decorated in an elegant and modern style: gray-colored lounge bar, colorful mini club with children’s pool, beautifully refurbished spa and yoga platform facing the lagoon. The Paradis Hotel & Golf Club is a Beachcomber hotel that bears its name. Located on one of the most beautiful sites of Mauritius: the Morne-Brabant, exceptional for its grandiose landscapes, between sea and mountain. The Paradis is not only a luxurious hotel: it provides an exceptional welcome that make ALL our guests literally fall in love with this hotel and many come back every year, a true stay in paradise. 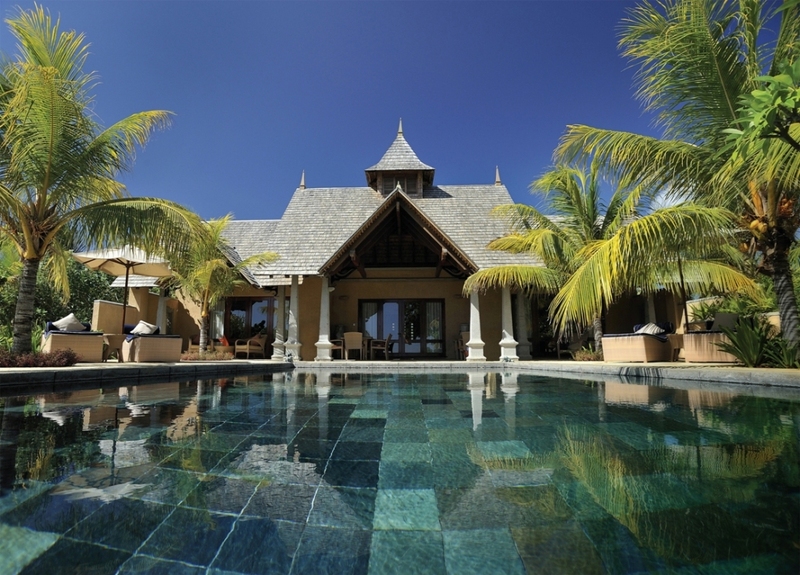 Maradiva Villas Resort & Spa is located in Flic en Flac on the west coast of Mauritius. This haven of tranquility of 27 hectares overlooks the crystal clear waters of the bay of Tamarin from where you can admire one of the most beautiful sunsets of the island. Surrounded by beautiful Wolmar Beach, the hotel offers a range of exclusive villas with a luxurious Mauritian-style private pool. Unveiling elegant architecture and Indian-inspired decoration, the Maradiva is the ideal place for couples seeking an intimate and soothing holiday in a paradisiacal setting. This luxury hotel is definitely an address for couples. The peacefulness of the gardens, the romantic ambience of the place does not make it a recommended place for families at all. Ideal for an on-site wedding or a honeymoon, you will not be disappointed with this luxury property. 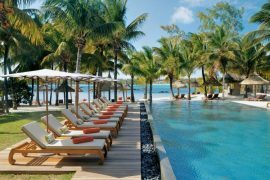 On the west coast of the island, the Sofitel Mauritius L’Imperial Resort & Spa, borders the beautiful beach of Wolmar for several kilometers. Offering stunning views of a breathtaking sunset, the hotel boasts Asian-style architecture as well as both oriental and modern decoration. 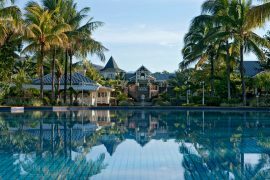 With its large swimming pool surrounded by palm trees, beautiful Asian gardens, playgrounds and modern rooms, Sofitel Imperial is an ideal hotel for family holidays. Discover the range of activities and tailor-made services of Sofitel Mauritius L’Imperial for an unforgettable holiday on the island paradise. – Try the restaurant Teppanyaki, a delight! Beautiful location, great beach, beautiful coconut grove shaded. Ideal for a family stay, it offers suites that can accommodate 2 adults and 2 children. For one of the first hotels built in Mauritius, the Sofitel remains a safe value, at very affordable prices. Hotel on a human scale, it offers its guests a very good level of services, with particular attentions and personalized throughout the stay. The architecture of the buildings, elegant and Creole-style, is in perfect harmony with the tropical gardens that surround the hotel. A swimming pool, overlooking the beach, invites you to rest and relax. The Sands Suites Resort & Spa is one of those truly Mauritian hotels, where the warm welcome, the quality of the cuisine, the environment and the peaceful atmosphere will make you adore Mauritius and will make you want to return every year. An address to be discovered as a couple. Note that all rooms are facing the sea. Only 4 * hotel with its own golf course. Located on the west coast of the island, Tamarina Golf & Spa Boutique Hotel is a charming beachfront boutique hotel next to Tamarina Golf Estate, a magnificent 18-hole course. The Tamarina Golf & Spa Boutique-Hotel promises unforgettable holidays in unique surroundings. The Tamarina Golf & Spa Boutique-Hotel, has several notable advantages: A very long beach, the proximity of the village of Tamarin and its waves that will fill the surfers. It offers green fee for playing golf and an entry per day to Casela Park. For a 4 *, the value for money is excellent. 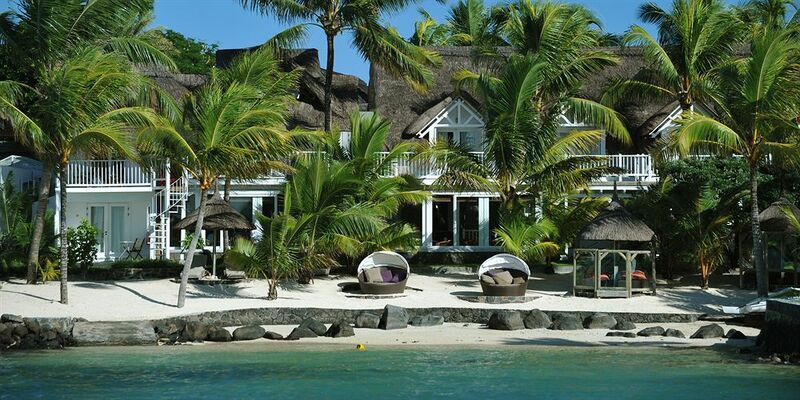 Pearle Beach Resort & Spa borders the beach of Wolmar, one of the most beautiful of Mauritius. The hotel is located in the seaside resort of Flic-en-Flac where you can admire one of the most beautiful sunsets on the island. This address is ideal to enjoy the sublime lagoon and to discover the west and south coasts. This resort is a human-sized resort with tropical and contemporary architecture and welcomes you in a warm and friendly atmosphere. This hotel has direct access to a beautiful beach. Le Tamarin is located on the west coast of Mauritius, in the bay of Tamarin. It is a 20-minute drive from Quatre-Bornes and 40 minutes from Port Louis. This bay is protected from the winds all year and remains a mythical spot and very popular with surfers. You can enjoy one of the most beautiful sunsets of the island while enjoying the beach lined with filaos. Featuring a colorful seventies décor, Tamarin has rooms, suites and villas set in a building nestled in a large tropical garden. – Ideal location for surfing. The Tamarin will seduce you with its warm atmosphere and its decoration. The place is authentic with musical evenings and relaxation areas. A place to be for surfers – the spot is renowned! 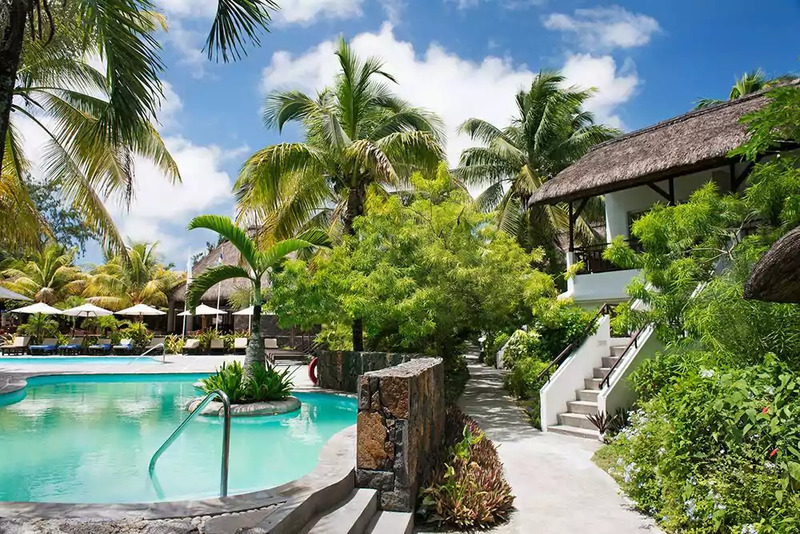 The Outrigger Mauritius Beach Resort is located in Bel Ombre, on the still wild coast of southwest Mauritius, a 1-hour drive from the capital Port Louis. Surrounded by lush greenery and set on the edge of a long beach, this chic and trendy hotel will delight you with its contemporary and elegant architecture with clean lines and natural setting reminiscent of traditional sugar plantations. You will appreciate its spacious rooms and suites, its fine restaurants and its Navasana Spa where you will relax your body and your spirit. – A beachfront villa at very affordable prices. The Outrigger Mauritius Beach Resort is a hotel with contemporary lines and in the air of time located to the south of the island. With family rooms, a super kid’s club and a catering area dedicated to the little ones, this property is ideal for a family holiday. Aanari Hotel & Spa is located near the beautiful beach of Flic en Flac in the Pasadena village on the west coast of Mauritius, 35km from the capital Port Louis and 50km from the international airport. This 3 star hotel comprises of fifty rooms in a two-wing complex. This 3 star hotel boasts a modern and yet rustic decor with a Balinese touch. Aanari Hotel evokes simplicity and grace, and will be ideal for couple or friends on holidays. The hotel features two restaurants welcoming its guests with Mauritian and International cuisine. The first restaurant Mei Yan is well-known for its fresh seafood dishes and the chefs’ specialty: Pecking Duck! Next the Colonial Garden, the main restaurant with a themed buffet where you can dine from the garden overlooking the ocean. Check in Amrita Spa for a moment of relaxation. The Spa offers relaxation treatments, massages, sauna and hammam. 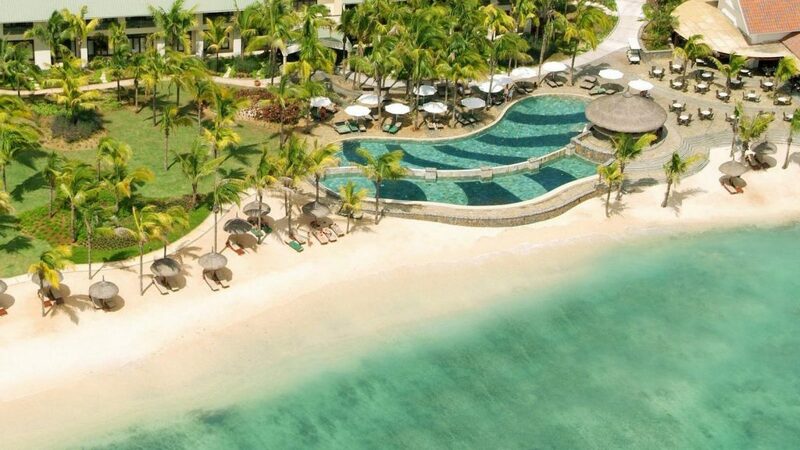 Located in front of the Dolphin’s bay in Flic en Flac, Anelia Beach Resort & Spa is the perfect retreat for family and couple holidays in Mauritius. This newly built 4 star hotel comprises on 150 beautifully furnished rooms. The Garden Spa & Wellness centre invites for relaxation and the complex offers the opportunity to practice many sports and activities well thought-out by the team. There is also a fully equipped conference room. The front beach is good, but you can take a 5 minutes stroll along the white sand to reach the other beaches of Flic en Flac. 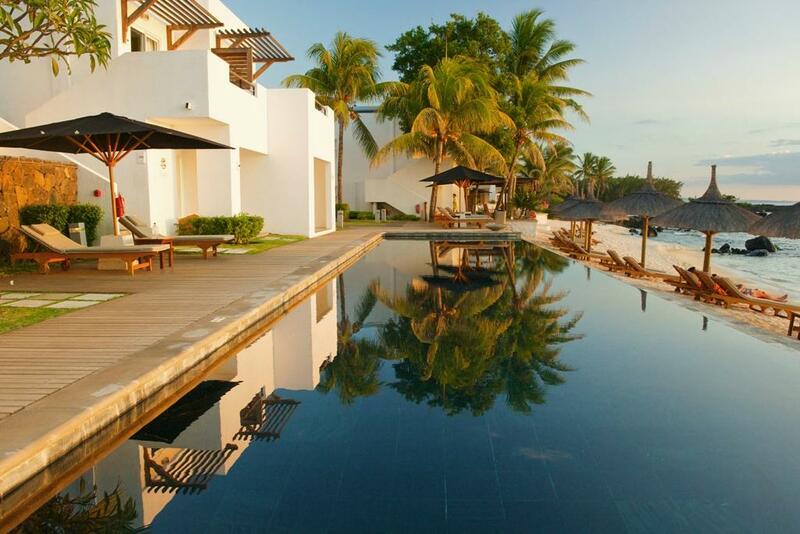 You might also like the two infinity swimming pools with awe-inspiring views on the ocean. Many tourism facilities are available in the region of Flic en Flac, Cascavelle shopping village is only 4 kilometres away and Casela Nature Park can be reach in 10 minutes by car. Safe available in all rooms. Always wanted to stay in a heavenly hotel? 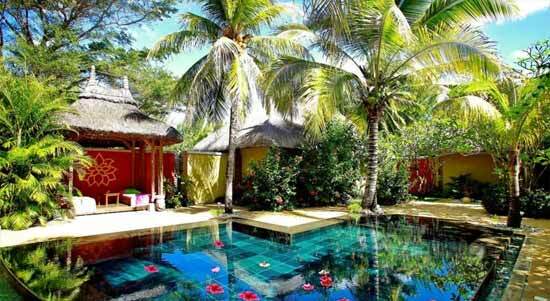 Angsana Balaclava is your perfect retreat located on an intimate beach in the north-west of Mauritius in the quiet area of ​​Turtle Bay. Endowed with several great restaurants, a refined service and a wide range of recreational facilities, Angsana is a luxurious complex. The hotel offers modern in-room service and facilities, and everything you can dream of for your honeymoon in Mauritius. Deluxe Pool Suite have a spacious porch leading to a private pool. Both suites and villas have large windows with abundant ambient light and charming views over the ocean. Each villa and suite have been exclusively decorated in a warm tropical style and feature king-sized bed, modern bathroom, minibar, spacious terraces and a particular attention to details. Many suites and villas also have their own private pool, living room and Jacuzzi. The Plantation d’Albion spreads over 22 hectares and has been built (in 2010) around ancient ruins, of which some remains add to the hotel’s decor. 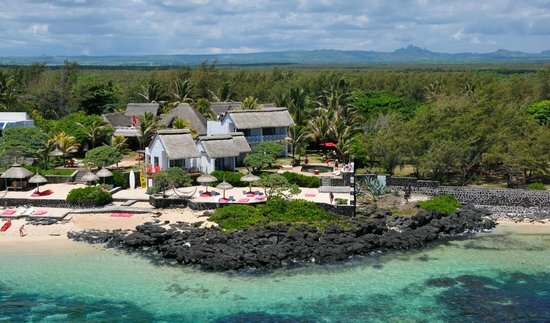 La Plantation beach village is located on the west coast of Mauritius, is a 15-minute drive from the capital, Port Louis. The international airport is 50 km away, about a forty-five minutes car drive. The hotel has 266 rooms split into three categories: 172 Club rooms, 64 deluxe rooms and 30 suites. This adult’s only resort offers mainly all-inclusive package to its (predominantly French) guests. If you are looking for a top notch hotel, with an array of activities and fine service, Club Med La Plantation of Albion will definitely become your favourite hotel in Mauritius. Club Med La Plantation has a very sophisticated décor, thanks to Marc Hertrich and Nicolas Adnet that extends throughout the resort. The resort’s spacious rooms have a contemporary décor of three different cultures, Asian, Indian and obviously Mauritian. A wonderful Cinq Mondes Spa and sumptuous infinity pool complete this Zen atmosphere. Dinarobin Hotel Golf & Spa is located at the foot of the majestic Le Morne Brabant on the south-western tip of the island. In this otherworldly setting, the hotel beautifully marries elegance and five star hospitality, the very best Mauritius can offer! The spacious suites of Dinarobin hotel offers breath-taking view of the turquoise lagoon. The resort has only luxurious suites that blend harmoniously into the lush tropical gardens. With its amazing views and direct access to the splendid beach of Le Morne, Dinarobin is an obvious choice for couple and honeymoon holidays. Here you can immerse yourself in a place that stimulates all your senses, smoothly … A dream setting where the art of living and gastronomy also have their place: 4 famous restaurants with different specialties and an exceptional Clarins Spa. The Dinarobin Hotel Golf & Spa is an exclusive hideaway which can satisfy the highest demands of tourists. Flic en Flac is one of Mauritius’ most famous resort to enjoy all water activities that you can possibly think of. 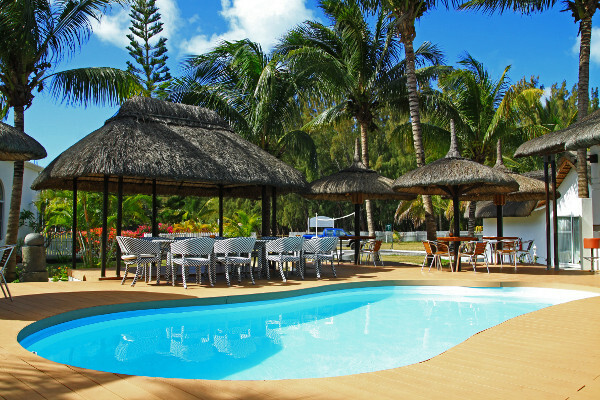 And if you’re looking for a hotel in Flic en Flac, Gold Beach Resort might well be your perfect lodge, and given its great price, you can’t go wrong. The resort is located few steps from the beach and guests will appreciate is closeness to the village’s amenities, Cascavelle Shopping Centre, Casela Nature Park or Tamarina Golf Club. This resort presents amazing service for a 3 star hotel. You’ll feel privileged with the warm staff welcome. Gold Beach Resort has a two-storey colonial style with its bright pool in the middle. The rooms have been design to provide maximum comfort but charm or grace were never excluded. The resort also offers a good range of activities to its guests. The property has 31 rooms. This renowned hotel is ideal for both business and leisure travellers. Guests can enjoy a quality fitness room at the hotel. The multilingual staff is also here to serve you or make arrangements for outings and excursions. Hilton Mauritius Resort & Spa is located on the sunny western coast of the island, and on one of Flic en Flac’s most beautiful strand. Flic en Flac resort is well known for its amazing beaches, water sports, diving spots, but it is also ideally located midway between the capital and the S.S.R International Airport. The hotel offers 193 rooms and suites overlooking the sea, the ideal place to relax. Some rooms are connected and others have facilities for disabled people. All rooms and suites of the hotel are fully equipped with safe, air-conditioning, ceiling fan, DVD player, plasma TV, minibar, telephone, tea & coffee appliances, spacious terraces and free Wi-Fi all around the resort. You can enjoy each of the hotel’s four restaurants and or sip a cocktail in its bars. The hotel has facilities for children and has many sport installations like 3 tennis courts, fitness & gym room. Hilton Mauritius also has an award-winning spa for its guess. Another section of the hotel is a complete business centre with five meeting rooms, business library and a lounge. 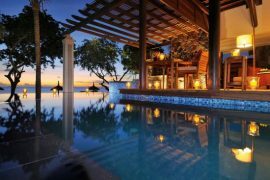 This ***** beachfront resort is one of the best accommodation in Balaclava and the north-west region of Mauritius. 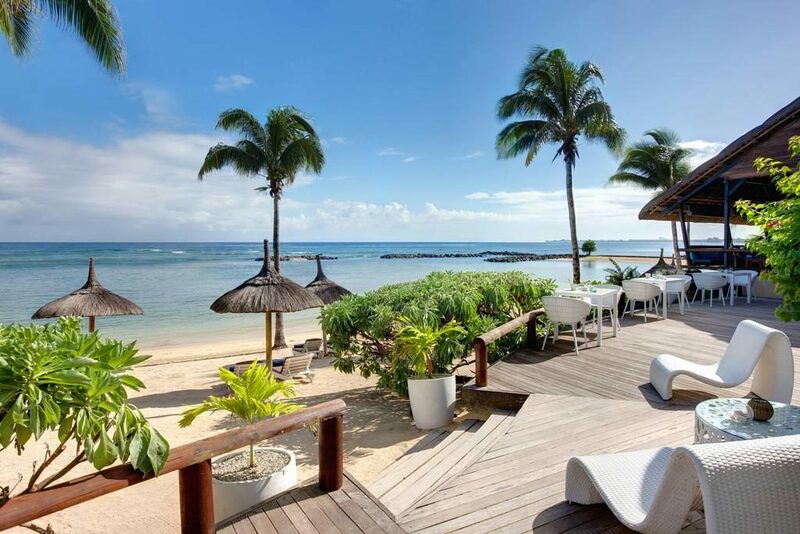 The InterContinental Mauritius Resort is ideally situated on a pristine beach overlooking the bay of Balaclava, just 15 minutes from the capital city, Port Louis. Also the very touristic area of Grand Baie is just 15 minutes away, even less for other attractions like Trou aux Biches or S.S.R Botanical Garden. The transfer from airport is around 50 minutes. All of the hotel’s 210 rooms feature amenities like air-conditioning, satellite TV, free high speed Wi-Fi, coffee maker, kettle, deep soaking tubs, safe, and a fully furnished balcony or patio. The hotel also has a world-class spa, 4 different restaurants serving Indian, Mediterranean, and Asian-fusion cuisine, international and local cuisine. In its very tropical setting you’ll find loads of activities at the beach on inside the hotel. A tennis court, golf course, fitness centre, children corner or water-activities like snorkeling or sunbathing around the luxurious pool. 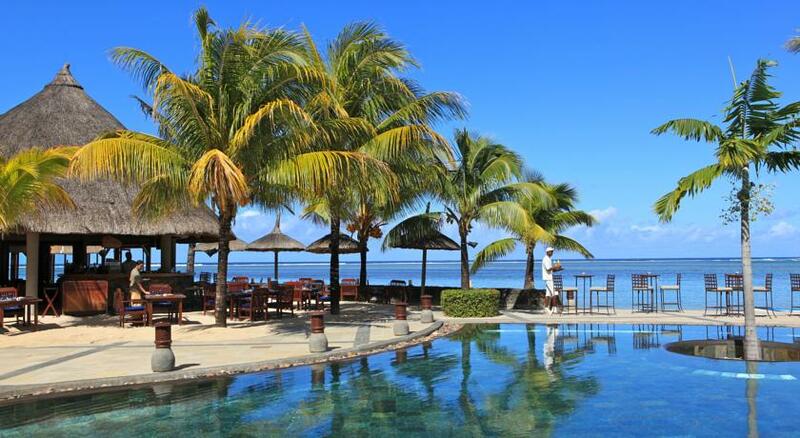 La Pirogue Resort & Spa is a lovely hotel located on the western coast of Mauritius. The hotel faces one of the most beautiful beach of the region; Flic en Flac. Recently renovated, La Pirogue Resort has everything to please even the most demanding travellers. Its authentic cabin rooms line a lush tropical garden which leads to the beach. Everywhere in the hotel you’ll feel a deep Mauritian spirit, and this is further enhanced by the amazing staff service. The hotel has been decorated for maximum comfort and to make guests enjoy a true Mauritian experience. La Pirogue Hotel has a range of amenities and facilities for each and every type of guest. Whether you’re visiting Mauritius on business, with the whole family, couple, and honeymoon or looking to get married on the island, the hotel manages it all. The hotel has 4 restaurants presenting an exotic voyage through the flavours of the World including local gastronomy. The resort also has 4 uniquely styles bars alongside a fully equipped gym, a spa, child & youth club, diving centre and daily entertainment. Located at the heart of Port Louis, the business centre of Mauritius, Le Labourdonnais Waterfront Hotel shines amongst other business hotels around the island. This 5 star hotel is just 40 minutes from the airport and midway between the island’s two most popular resorts, Grand Baie and Flic en Flac. 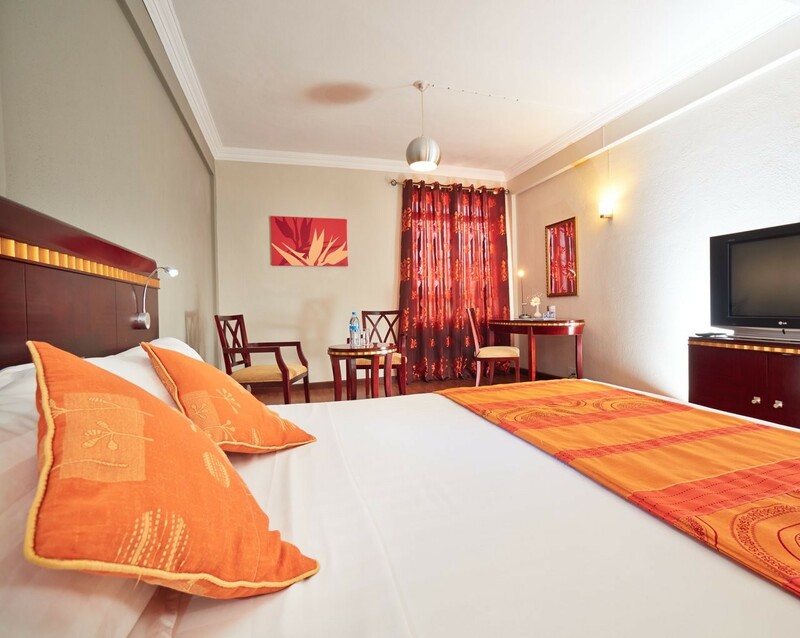 The hotel is an integral part of Le Caudan and Port Louis Waterfront and guest will have very access to all amenities including restaurant, markets, movies and many duty free shops nearby the hotel. Le Labourdonnais Waterfront Hotel offers 3 restaurants and 2 bars alongside 5 fully equipped conference rooms, a spa & wellness centre, beauty salon, gym & sport facilities. The hotel offers 105 luxurious rooms and suites with private balconies and splendid views of the harbour of Port Louis. All rooms have air-conditioning and come with a bathroom with a separate shower, bathtub and a hairdryer. For convenience, all of the hotel’s accommodation are equipped with safe, terrace, telephone, fax, mini bar, and computers with high speed internet access, satellite TV. 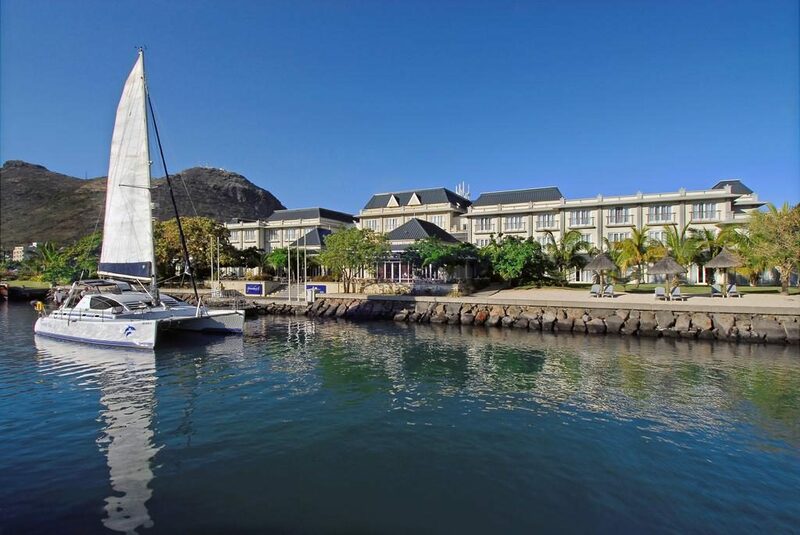 Located behind Port Louis Waterfront, Le Suffren Hotel & Marina is a convenient place to be in the capital while staying near numerous attractions and facilities. The two resorts of the island, Grand Baie and Flic en Flac are twenty five minutes away. This four star hotel comprises of 102 luxurious rooms, all with air-conditioning and minibar. The city light and marina views add to the charm of its accommodations. The rooms have private bathrooms including bathtub and shower, hairdryer. Conveniences include electronic safe box, desk and daily housekeeping service. This business hotel is also suitable for relaxed holidays. Just visit the hotel’s prestigious spa offering massages as well as body and face treatments. This Indigo Group Hotel has a distinctly nautical mood and design will remind you of life aboard a luxury liner. Le Suffren’s lounges and bars are also known to be very friendly places to chill out in the capital, especially in Fridays & Saturdays evenings. 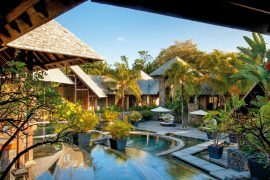 Located on an exceptional site, the Shangri-La’s Touessrok Resort & Spa is a jewel in the Mauritian luxury hotel industry. Built like a small village, this hotel is very pleasant to live in. Shangri-La’s has a privileged location in Trou d’Eau Douce. A few miles from the hotel is the Mangénie Island, a private island reserved for hotel guests, and l’Ile aux Cerfs, which houses an exceptional 18-hole golf course designed by Bernhard Langer. This unmissable address is like the Shangri-La’s chain. The Asian inspired decoration combines natural materials and beautiful volumes, in a resolutely design style. 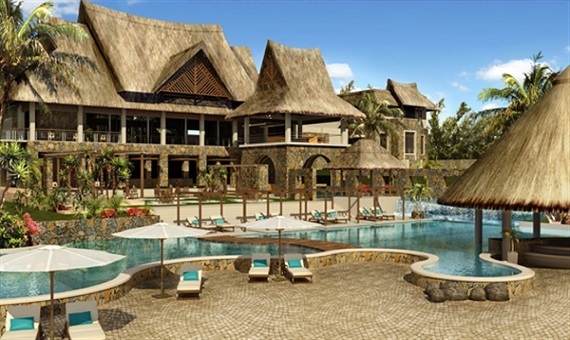 Taking on the commercialization of the Touessrok, Shangri-La marks a successful entry into the Mauritian luxury hotel industry. Luxury rooms, suites and villas with perfect design. Contemporary restaurants, trendy bars, stylish but not stilted ambience, high quality entertainment every night, are the assets of this exceptional hotel. Note however that the bath is shallow at low tide and that you should favor the beach on the side of the Mangénie Island. 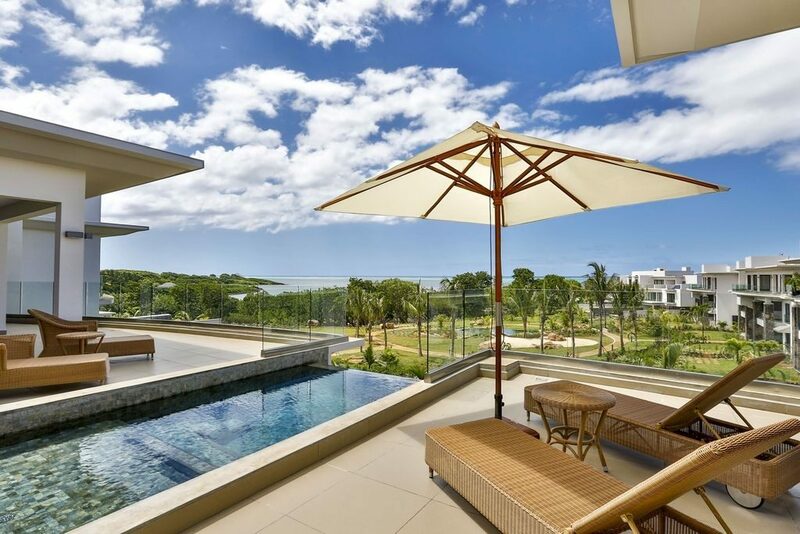 The Residence Mauritius is located in the heart of a beautiful tropical park and on the edge of a beautiful one kilometer long beach in the East of Mauritius. Inspired by the colonial style of the old houses of Mauritian planters, this jewel welcomes you in a chic but relaxed atmosphere. Perfect butler service, 600 m² SPA Sanctuary and its CARITA products, Kids Club with multiple activities contribute to the success of this hotel. Whether you are looking for a family vacation or a romantic getaway, The Residence Mauritius will delight you. We love the spa “CARITA” of great quality and the beautiful beach. Small plus: butler service for each room. We recommend the Ocean view or the Ocean front to avoid the opposite garden view. The Sugar Beach Golf & Spa Resort is a beautiful hotel along the beautiful beach of Wolmar in the west of Mauritius. Located close to Flic en Flac, this hotel boasts an architecture combining modernity and colonial style inspired by the old plantations. Overlooking the crystal-clear waters of a paradisiac lagoon, Sugar Beach Hotel unveils a tropical garden and invites you to fully enjoy the beautiful surroundings for a family holiday or honeymoon. Enjoy the wide range of water sports available at the hotel, relax by one of the two available swimming pools or enjoy a total wellness experience at the Aura Spa. A unique and exceptional stay guaranteed! 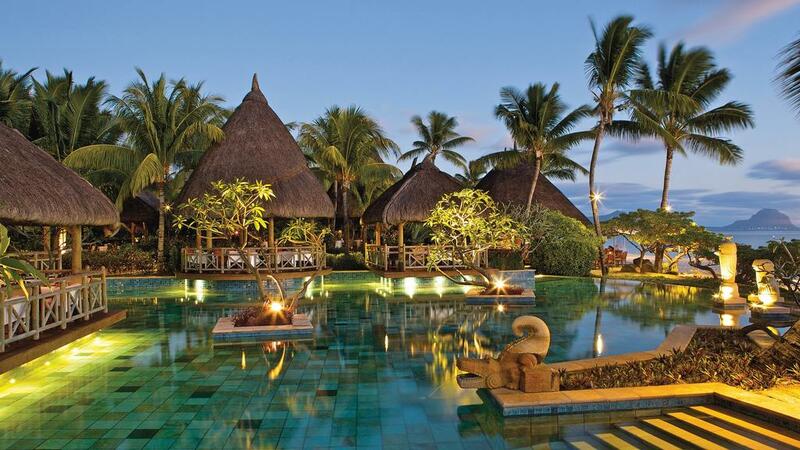 This upscale resort offers a stay under the sign of exoticism and Mauritian charm. Ideal for families, all your little tribe will be filled: large rooms for up to 4 children, a good restauration, a beautiful beach and a multitude of activities. Furthermore, children stay free of charge. Everything is assembled to make your holidays unforgettable. 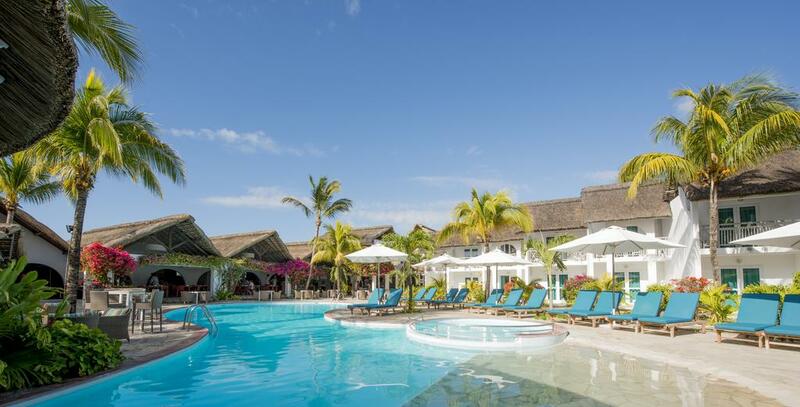 A legendary hotel located on the golden peninsula of Belle Mare in eastern Mauritius, the Saint Géran welcomes every year its faithful customers from generation to generation. Nestled in a beautiful tropical garden of 30 hectares, planted with majestic coconut trees and exotic flowers, Saint Géran offers calm, luxury and pleasure to all its guests. It promises you rare moments in a colorful environment rich in perfume. – A beautiful decor and an excellent table. 37 butlers are at your disposal 24 hours a day. Formed by Ivor Spencer, world-renowned for organizing more than a thousand royal events, these men personify the perfect service. Their priority is to listen to your every wish. The Veranda Palmar Beach is a small boutique hotel with typical Mauritian architecture, adorned with thatched roofs and white facades. 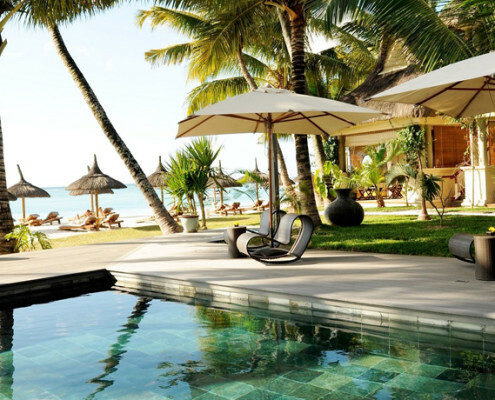 It borders the sublime white sandy beach of Belle Mare, on the east coast of Mauritius. This address with the relaxed atmosphere will allow you to spend a good holiday in Mauritius, at reasonable prices. In addition, it offers a beautiful selection of activities as well as an all-inclusive formula. – many activities for the whole family. The Veranda Palmar beach is an excellent 3 *. Due to its sublime white sand beach and also for its quality / price ratio. Indeed, it offers an all-inclusive holiday at very affordable prices and excellent quality. The Tropical Attitude is an exclusive hotel for adults, located on the east coast of Mauritius, just a stone’s throw from Trou d’Eau Douce and the famous Île aux Cerfs. Comfortable and welcoming, the property has a contemporary tropical decoration with natural materials and light tones. The Tropical Attitude invites you to discover the traditional Mauritian lifestyle and to take full advantage of your holidays through treatments at the Spa Attitude or to practice many nautical and land activities. A simple and lively hotel, ideal for sports enthusiasts looking for a beautiful environment, fleeing the stilted ambiences. We love the east coast and especially Trou d’Eau Douce region, but beware of the wind during the Mauritian winter (June, July, August). 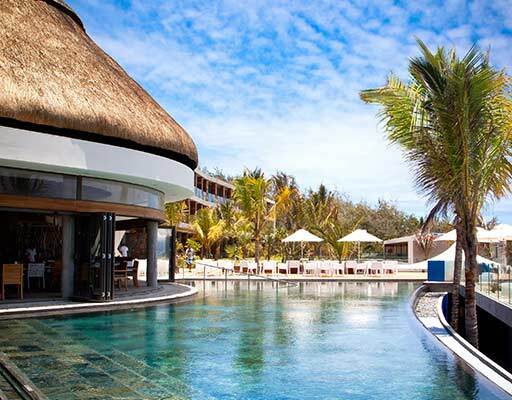 The Radisson Blu Poste Lafayette Resort & Spa is located on the northeast coast of Mauritius. Perfectly suited for a stay with friends, it will delight lovers of snorkeling who will be able to leave to the discovery of the barrier reef. It offers rooms with sea or garden views and a spa where you can relax after a busy day of activities. The contemporary and modern decor of the Radisson Blu Lafayette Resort & Spa will delight young travelers and urban-style enthusiasts. Set on a superb natural site, it will seduce the snorkeling enthusiasts who will be able to discover the coral reef during a stroll underwater. 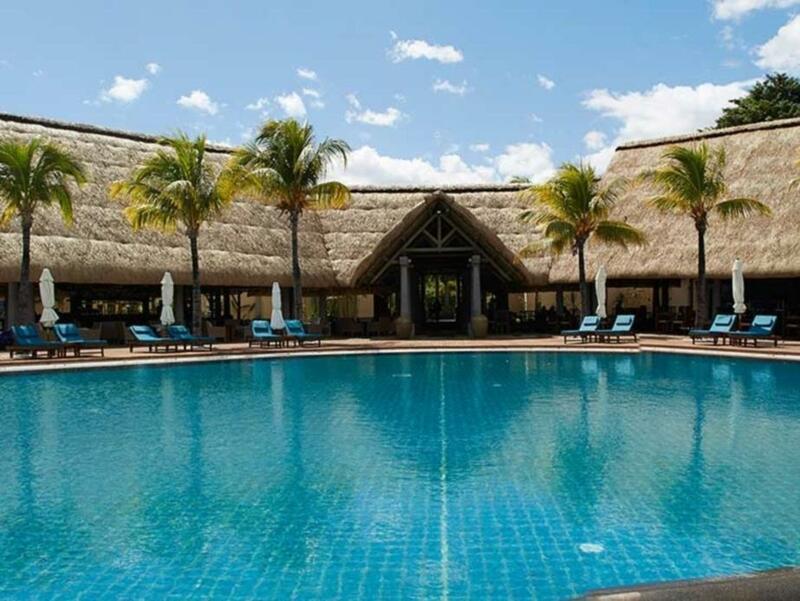 Ideally located within a sheltered cove on the east coast of the island, Ambre Resort & Spa will enchant you with its Mauritian architecture with its thatched roofs and its unique beach atmosphere. This modern 4 star hotel is located on the stunning 700 m sandy beach of Palmar, in front of an azure blue lagoon overflowing with tropical fish and marine life. The hotel has a total of 297 rooms to accommodate its guests. The resort offers a wide range of activities and water sports free of charge. Leave aside your everyday stress, recharge your batteries with the various sports activities, enjoy the fine cuisine of the 3 restaurants or pamper yourself at the spa. All this is possible in a typical Mauritian atmosphere in this Sun Resorts hotel chain. 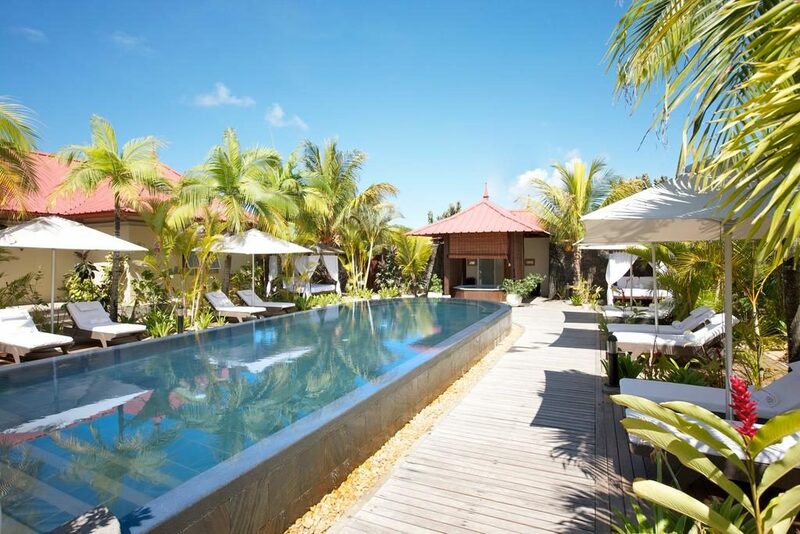 Ambre Resort & Spa is 1 hour from the airport and the Mauritian capital Port Louis and about twenty minutes from Ile aux Cerfs and its famous 18 holes golf course. To make the most of your holiday, the hotel offers an All Inclusive concept for adults only (as from 16 years old). Located just 40 km from the airport, Constance Belle Mare Plage is one of the very best hotel of the east coast of Mauritius. The resort comprises of 235 rooms (of which 137 junior suites, 92 prestige and 6 deluxe suites) all fully equipped with air conditioning, terrace, satellite TV, Wi-Fi, minibar, in-room safe and 24 hour room service. 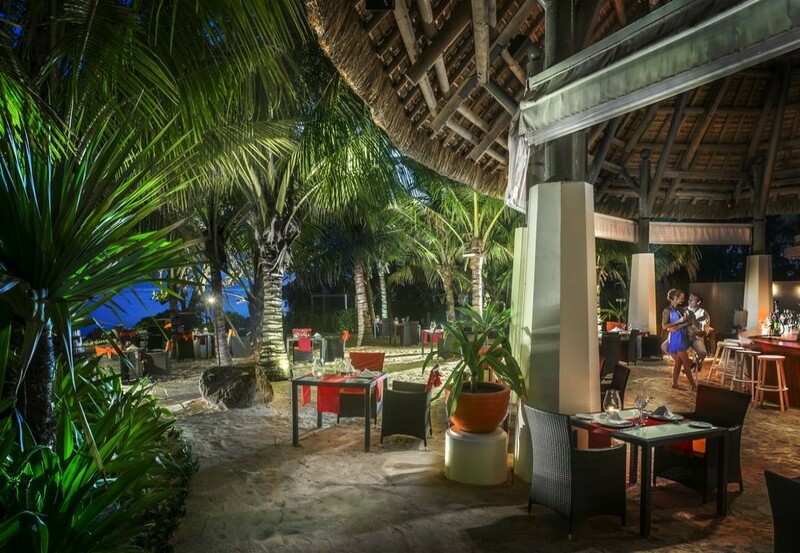 Constance Belle Mare Plage has a total of 7 restaurants and 6 bars for the best culinary experience in Mauritius. Furthermore, you’ll find 4 common swimming pools and a variety of private pools. Outdoor, an array of facilities and activities are available like 4 tennis courts, sauna, a spectacular 18-hole golf course, numerous water sport facilities and the beautiful beach of Belle Mare. 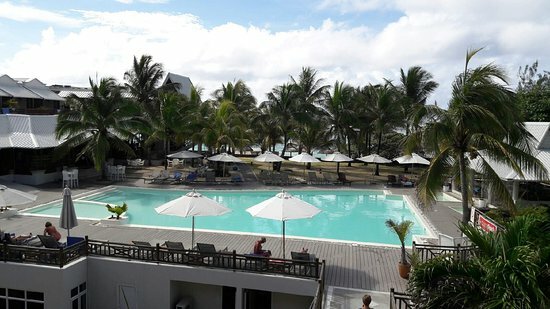 This hotel does it all, whether you are visiting on business, honeymoon, friend or family holidays, everyone love the joyful ambiance and amazing hospitality of Constance Belle Mare Plage. Also, there is a children’s playground and a kids’ club for children aged 4 to 11 with countless indoor and outdoor activities. The extensive space occupied by the 5 star luxury Le Prince Maurice is an invitation to enjoy the beauty of Mauritius in total tranquility and relaxation. Its elegant areas illustrate a beautiful architecture and careful detailed design, using principles of feng shui for optimal harmony. Enclosed by exquisitely landscaped natural gardens soaking the whole resort of jasmine aroma and tropical flowers. All of its rooms offer thatched roofs terraces and pleasant common areas nearby the pool, where you can enjoy jazz music or piano sessions in the evening. This charming hotel also offers spacious suites but is better renowned at an international level for its state of art hospitality and wondrous service. The hotel has 4 outstanding restaurant, access to the spectacular golf course of Belle Mare Plage and numerous beach activities and watersports. If you are looking for a top-notch hotel in the eastern part of Mauritius, we highly recommend Constance’s Le Prince Maurice in Belle Mare. Ideally settled on the beach of Belle Mare, Emerald Beach Attitude is a cosy all inclusive resort with a nice local authentic touch. If you are searching for a reasonably priced hotel located few steps from a beautiful sunlit tropical beach, this hotel does it all. Its standard and superior bungalows have been built at the heart of a verdant tropical garden. This small cosy hotel promises an authentic seaside holiday experiences with its range of facilities. You will stay in elegantly decorated bungalow rooms with traditional creole architecture, made of natural materials such as wood, stone and thatched roofs. Consisting of bungalows set in the heart of a verdant tropical garden, this hotel emphasizes authenticity and will be an ideal stopover for travellers seeking a convivial holiday. Emeraude Beach Attitude Hotel offers numerous facilities like massage treatments at the spa and sunbathing by the pool. A real immersion in the atmosphere and Mauritian culture. 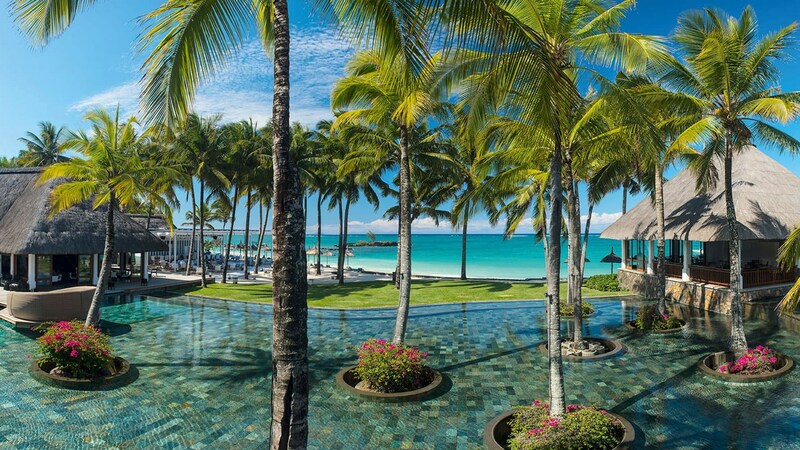 Nestled around a sublime preserved bay, the Four Seasons Resort Mauritius at Anahita fascinates with its iridescent sand, clear water and lush vegetation. Located not far from the airport and facing the beautiful island of Ile aux Cerfs, this little jewel of luxury is a real paradise for all. The village’s scenery and the vegetation are wonderfully well maintained and the whole complex is lined with marble and wood giving way to an incredible view of turquoise water and lush hills. 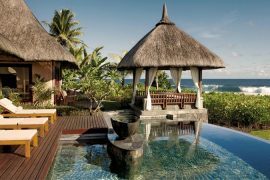 Four Seasons Resort Mauritius at Anahita comprises 136 villas and residences spread over 26 hectares of private estate. Each one has a private swimming pool with stunning views of the mountains, the mangrove or the azure waterfront. There is a plethora of activities and things to do at and around the hotel. The hotel has 6 common swimming pools and numerous restaurants & bars. Anahita has 3 pristine beaches where you can sunbathe in complete privacy. You will appreciate their sober decoration, their functionality and the vast indoor and outdoor living spaces, ideal for enjoying a real holiday with family or friends. Peacefully end your day under the shade of coconut palms or the privileged setting of the resorts world-renowned spa. Located on the on eastern coast of the island, Friday Attitude is a very animated hotel ideal for family holidays in Mauritius. The hotel faces the pretty beach of Trou d’Eau Douce and it take just a 15 minutes boat trip to reach the popular Ile aux Cerfs Island. This typical Mauritian hotel has 51 rooms of which 16 have specially been designed for family. All the rooms are fully equipped with double bed, balcony or terrace, bathroom with separate shower and toilet, TV with satellite channels, electronic safe, mini bar, tea and coffee and air conditioning. The Family Rooms also feature two beds for children. This hotel has all-inclusive rates. This price includes all meals and beverages at the on-site bars and typical restaurants like Ti-TabaJ. A charge may be applied for eating at certain restaurants, or for certain menus or dishes, beverages or other services. The hotel has various beach activities like pedal boat, kayaking, diving, paddle boarding, fishing, catamaran cruises, snorkeling, and kite surfing. Are you on a stopover? Quick business meeting on the island? 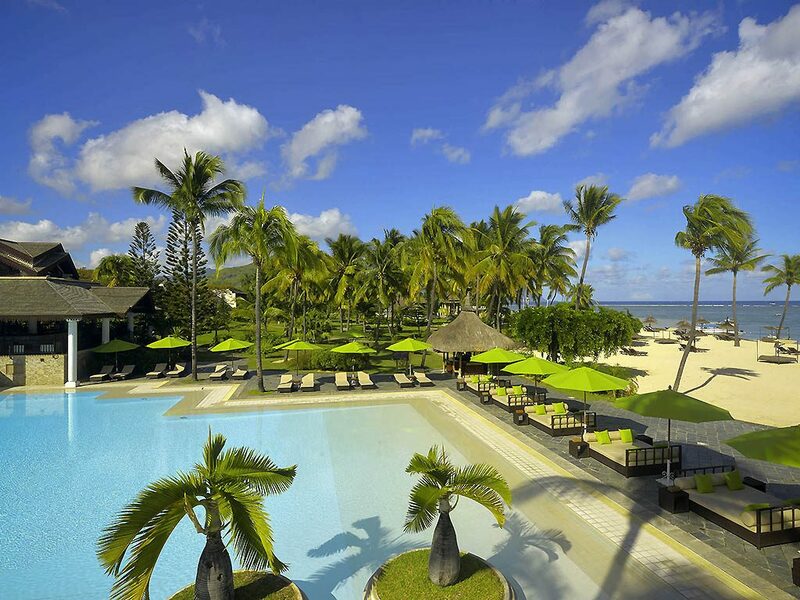 Discover holiday Inn a 4 star airport hotel in Mauritius. The hotel offers free shuttle service to and from the S.S.R International Airport, located just 2 kilometres away. 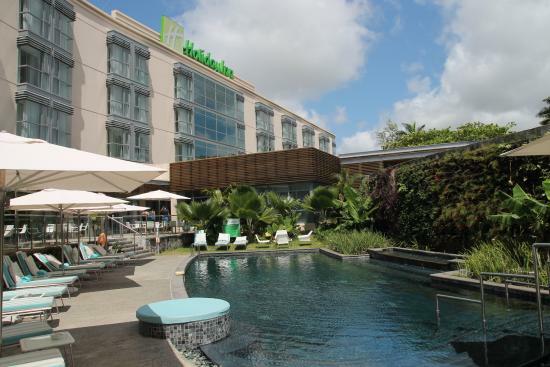 Despite is location, Holiday Inn reflects well-being and the amazing Mauritian hospitality. 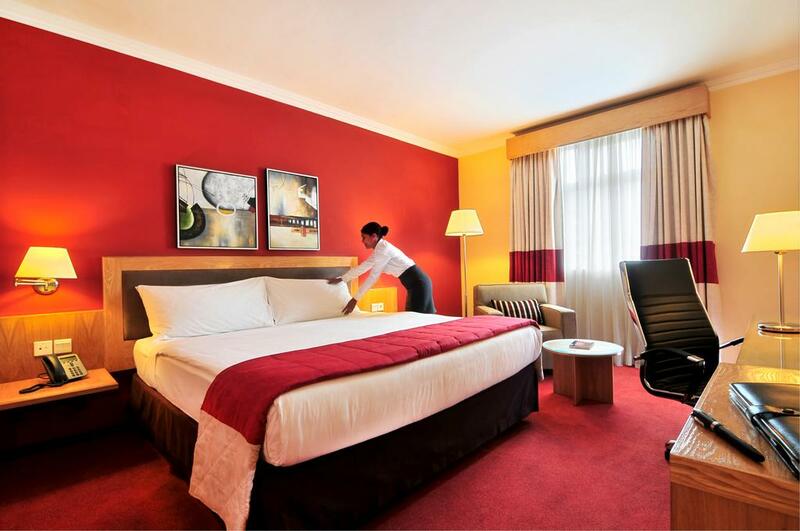 Holiday Inn presently has 140 rooms of which 111 are standard rooms, 20 Club rooms and 9 Executive rooms. All the rooms are fully equipped combining comfort and modernity with free fast speed Wi-Fi connexion. The hotel has a spacious outdoor pool and you can also take the free shuffle to get to the beach, just 3 minutes away. Holiday Inn is more than equipped for any business trip in Mauritius and if you want to relax after a day of work or a long flight, you’ll have access to the hotel’s spa located on the 3rd floor or the fitness centre. La Palmeraie Boutique Hotel is located on the white sand beach of Palmar, in the eastern part of the island, 4.7 km from Belle Mare resort. The resort features a Moroccan style architecture overlooking the azure lagoon of Palmar in a fairly remote area. All the rooms feature symmetrical designs and include a romantic ivory-canopy bed. Fully equipped with a minibar and a flat-screen satellite TV, furnished terrace, internet, safe, coffee & tea makers, the hotel’s rooms are real havens for family, couple or honeymoon holidays. The private bathrooms at La Palmeraie come with free toiletries. This 4 star resort offers all-inclusive rates which include meals and beverages at the hotel’s bars and restaurants. You’ll feel treated to dine in one of the hotel’s 3 restaurants. Supress your thirst at the bar-lounge, the beach-bar, or the poolside bar. Laguna Beach Hotel & Spa is idyllically located on the south-eastern coast of Mauritius with easy access turquoise waters of the Indian Ocean. The hotel faces the peaceful bay of Trou d’Eau Douce and the famous Île aux Cerfs Island reachable in 10 minutes by speedboats. The front beach of the resort is protected by an impressive coral reef. The hotel comprises of 64 sea-facing rooms. The standard room has an area of 25 m², the deluxe room of 35m² and the family suite occupies 50m2. All the rooms have air-conditioning, private bathroom with hairdryer, satellite TV, electronic safe, minibar, tea & coffee machines, telephone and balcony. Free Wi-Fi internet access is available at the front desk and in the restaurant. The hotel main restaurant, Sardinella Ristorante has a capacity of 135 covers serving themed buffet dinner. The second restaurant offers a fresh variety of seafood and grilled meals, on the beach! You’ll also want to try the bar’s homemade cocktails. 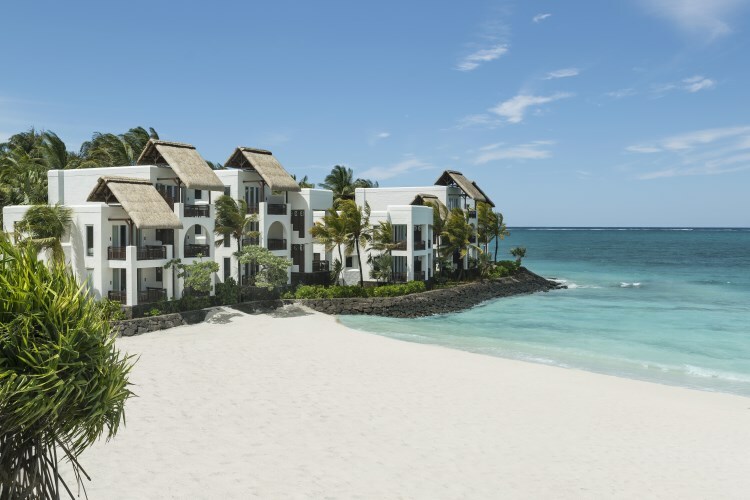 Ideally located on the beach of Belle Mare, Le Surcouf Hotel & Spa is a charming 3 star hotel presenting a wide range of rooms and facilities to its guests. The hotel is built in an open tropical garden leading to the azure lagoon of Belle Mare beach. The hotel consists of 46 beautifully decorated rooms and a magnificent suite. The complex features cottage-style rooms with traditional thatched roofs. Honeymooners will appreciate the tranquillity of the area and its natural romantic setting. 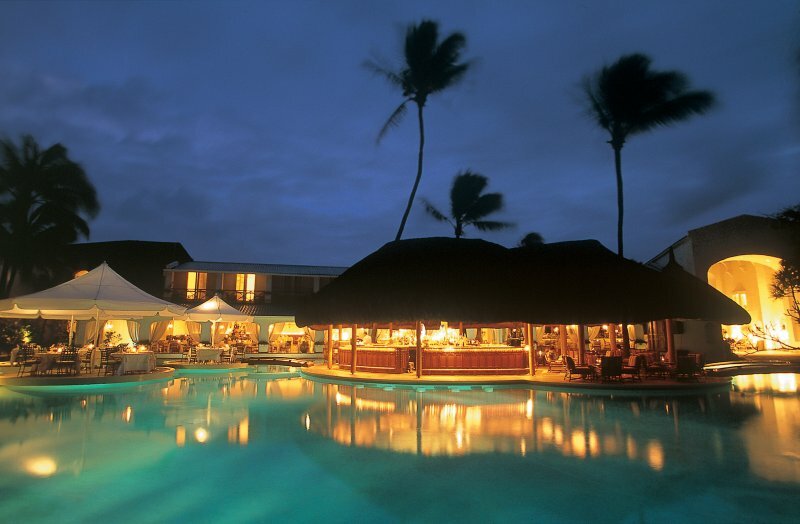 Le Surcouf Hotel & Spa offers a good restaurant with a capacity of 120 covers serve in European and Mauritian cuisine. You can also enjoy the hotel’s many cocktails and drinks available at the lounge bar. It has a large swimming pool with panoramic view over the lagoon. Other facilities include a relaxing spa & beauty centre offering tranquil treatments. Long Beach Golf & Spa Resort is located on a beautiful strand of Belle Mare within easy reach of numerous tourist attractions and amenities. 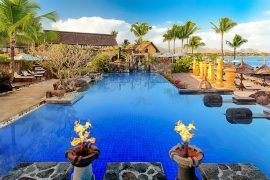 The hotel is within the region of Ile aux Cerfs Golf Club and has everything expected in a hotel in its class to suit guests’ utmost comforts. Conveniences include a fully equipped business centre, car-chauffeur service and a computer room is also at your disposal. Event facilities at this resort include a conference centre, meeting rooms, restaurants. Enjoy real relaxation moments at the hotel’s renowned full-service spa. The hotel also features 3 outdoor pools, a private nightclub, indoor games and tennis courts. The hotel has 255 luxurious rooms. All the rooms are air-conditioned, have minibars, wide LCD Satellite TV, Wi-Fi. All the accommodations of the hotel have private balconies and feature modern private bathrooms. Located in the southeast of Mauritius, on a 50-hectare protected peninsula, Shandrani Resort & Spa reigns supreme over the Blue Bay Marine Reserve. Three private beaches of fine sand invite you to relax in the shade of the filaos. The buildings of the resort are spread over these three beaches. Featuring a wide selection of services and amenities, Shandrani offers you water and land sports as well as relaxing in the sublime Spa by Clarins. With its All Inclusive Serenity Plus formula, Shandrani is an address that mostly appeals to families looking for luxurious holidays while keeping their budget in check. Its unique flaw is the proximity to the airport and the noise of the planes, which at times is quite present, and can annoy the residents of the hotel. Our advice: prefer the Deluxe rooms! 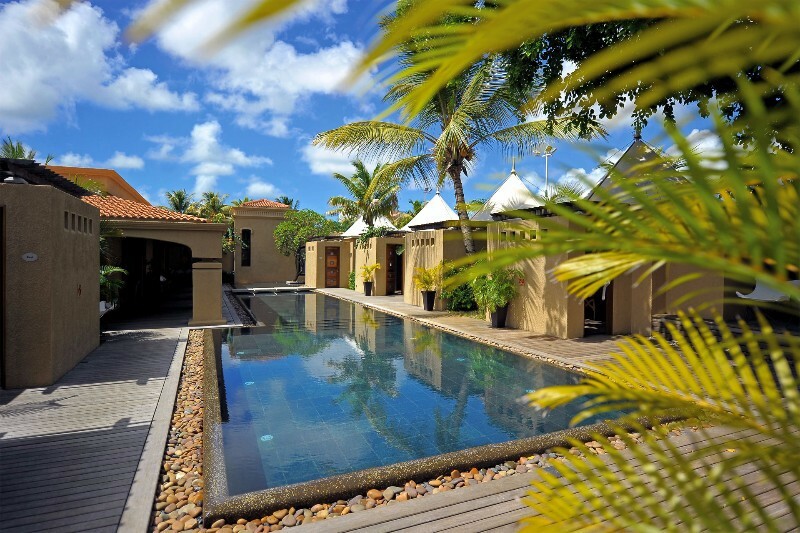 Located in Saint-Félix, in the south of Mauritius, near the Domaine de Bel Ombre, Shanti Maurice – A Nira Resort offers its guests calm, luxury and well-being. It is on a wild and preserved site, on the edge of a pretty little beach and in the heart of a tropical garden of 14 hectares, that the Shanti found its place. 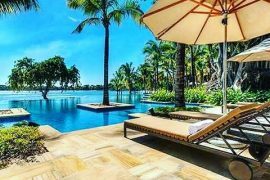 Its location offers a breathtaking view of the surrounding hills, the Indian Ocean and its coral reefs which you can admire from the lobby, magnificent central pavilion with its overflowing basin overlooking a garden, the pool and the sea. 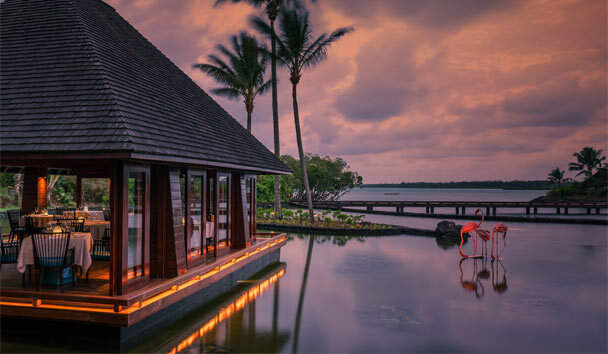 Shanti Maurice – A Nira Resort offers an authentic Mauritian experience illustrating a multi-faceted island. The Shanti Maurice is an upscale address that will suit both families and couples. Families will be enchanted by the many activities offered and its protected beach. Couples will be seduced by the quietness of the place and one of the best Spa in the Indian Ocean. A very good hotel for the divers! 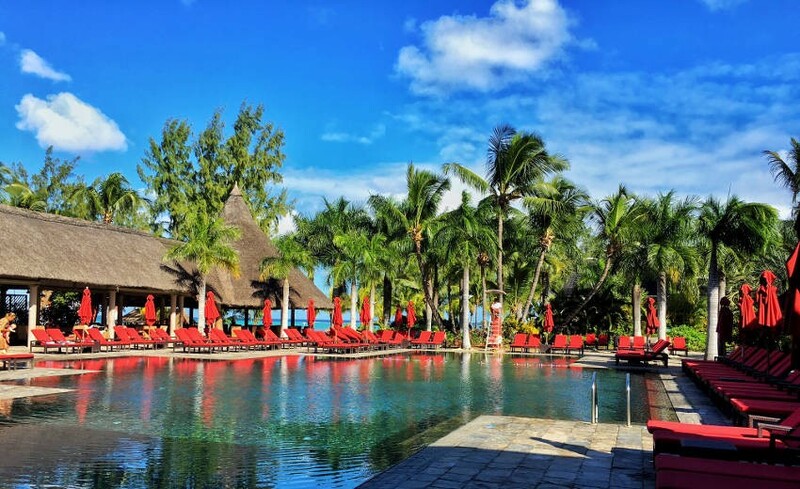 The Preskil Beach Resort is located in the South East of Mauritius, a stone’s throw from the village of Mahébourg and its market, on the private peninsula of Pointe Jérôme. Overlooking the Ile aux Aigrettes nature reserve, this haven of peace in a majestic tropical garden adopts a colorful, typically Creole style. Bordered by the magnificent lagoon of Blue Bay, diving enthusiasts can enjoy one of the two marine reserves of Mauritius and enjoy the many water sports on offer. The Preskil Beach Resort boasts a stunning beach and is perfect for diving lovers, with the Blue Bay Marine Reserve and its colorful fish! The Tamassa, an all-inclusive hotel on the southern coast of Mauritius, surrounded by the sugarcane fields of the former sugar estate of Bel Ombre. This region of the island is very wild and hilly, to visit in hiking or 4×4. A natural swimming area has been developed by the hotel with a sandy beach and a closed basin of 40 meters wide and 100 meters long. Discover the festive atmosphere of Tamassa through nautical and terrestrial activities, the disco and the entertainment and shows organized during the evenings. – good service and restoration. The rooms offer a contemporary atmosphere, it is not necessarily in keeping with the Mauritian style but it is very well with family. Service and food are good. The beach has been refurbished with rocks and sand. A hotel decorated by Kenzo! 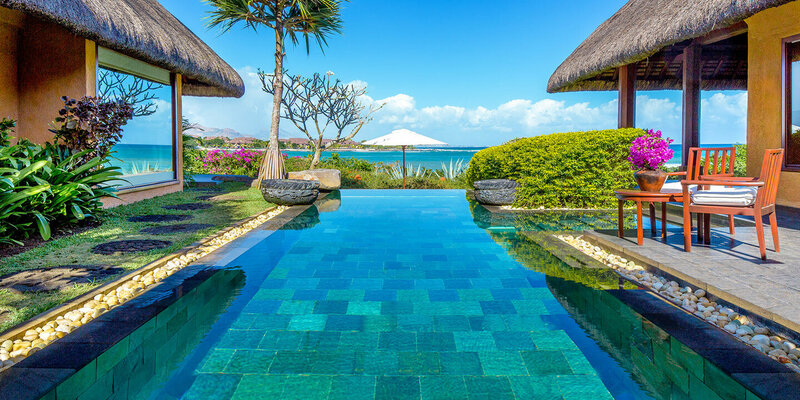 So Mauritius, located in the south of Mauritius on the wild coast of Bel Ombre, offers suites and villas designed by renowned architect Lek Bunnag. A sophisticated ambiance emerges from the light, modern decor with light curves. This eco-chic hotel blends the energy of the exotic island with avant-garde style. Kenzo Takada, creator of Sofitel So Mauritius was inspired by the sumptuous landscapes of this corner of the island to fashion a unique high-end hotel. Enjoy activities for sports enthusiasts or families, relax with So SPA wellness treatments or spend a romantic break in total privacy. So Mauritius adopts an “eco-chic” concept in a very quiet atmosphere. The hotel is beautiful between the lush gardens, the lagoon and the pool … We like, or do not like the decor, but it will certainly not leave you indifferent. Located in the south of the island, in Bel Ombre, Heritage Awali Golf & Spa Resort enjoys a fully paradisiac setting in a preserved area. The hotel offers an all-inclusive package comprising of a range of services and activities. This 5 star hotel has recently been renovated to better pay tribute to the African origins of Mauritius. Heritage Awali Golf & Spa Resort nestles between the turquoise lagoon and lush mountainous peaks, the ideal retreat whether it is family or friends holidays in Mauritius. Discover a great blend of the island’s wild south and a fine touch of Mauritian hospitality at Heritage Le Telfair Golf & Spa. 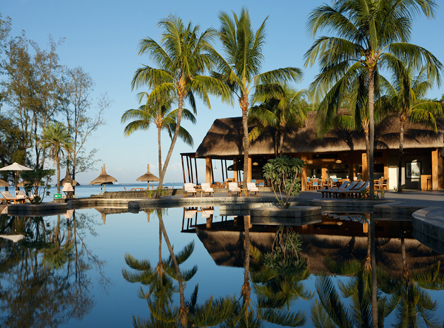 This gigantic 5 star resort is located next to the pristine beach of Bel Ombre on the southern tip of Mauritius. The hotel is ideally located for ultimate privacy but other famous attractions like Chamarel and Le Morne Beach are not very far away. The hotel presents a wide range of accommodation for each type of guests. But each room has the complete checklist of facilities you can dream of for a stress-free holiday. The hotel consists of 158 brilliantly decorated rooms with air-conditioning with easy access to the hotel’s pools and numerous amenities. Heritage Le Telfair is famous for being a golf resort, but there’s plenty of activities to do other than golfing. You have access to the hotel’s five star spa, a fully equipped fitness centre, Jacuzzi, steam rooms, swimming pools and the list goes on and on. If you’re looking for a top-notch hotel in the south of the island, we recommend Heritage Le Telfair Golf & Spa Resort in Bel Ombre. Nestled on the shores of Blue Bay beach and its marine park, Le Peninsula Bay Beach Resort is a 3 star resort not far from the airport. 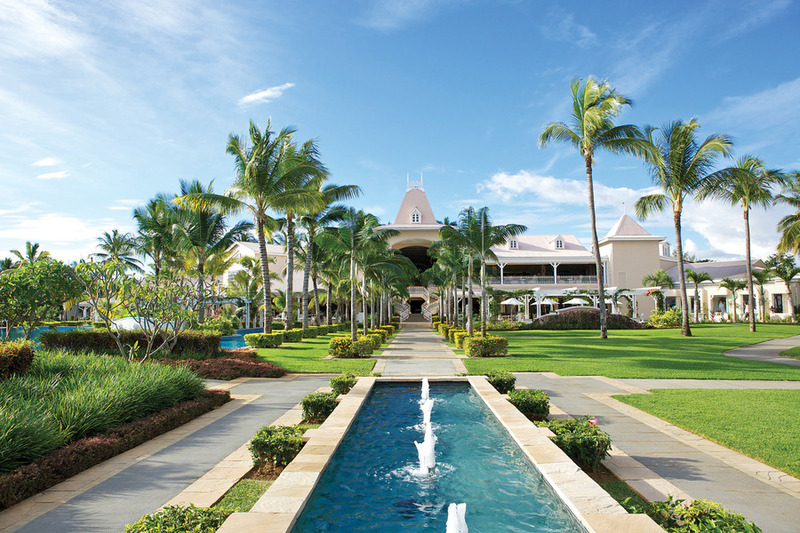 The hotel offers easy access to a protected lagoon and tropical gardens. The rooms have a defined decoration alike the large open air reception area is decorated with dark wood and high ceilings. Le Peninsula Bay Beach Resort offers all-inclusive rates which include meals and beverages at the hotel’s bars and restaurants. The lounge restaurant serves international food. Guests can relax at the Main Restaurant and bar. Guests can relax in Maryse & Pamela’s local restaurant, 300 meters away from the hotel. The primary attraction of the region is the Blue Bay Marine Park. If you love to snorkel and or need to be close to the airport, Le Peninsula will be a great choice. Other attractions are Ile aux Aigrettes nature reserve and other places like Gris Gris, Le Souflleur ou Le Morne Brabant further away. If you’re looking for a cheap hotel for a short stay or visiting Mauritius for business, Gold Crest Business Hotel is a good option to consider. 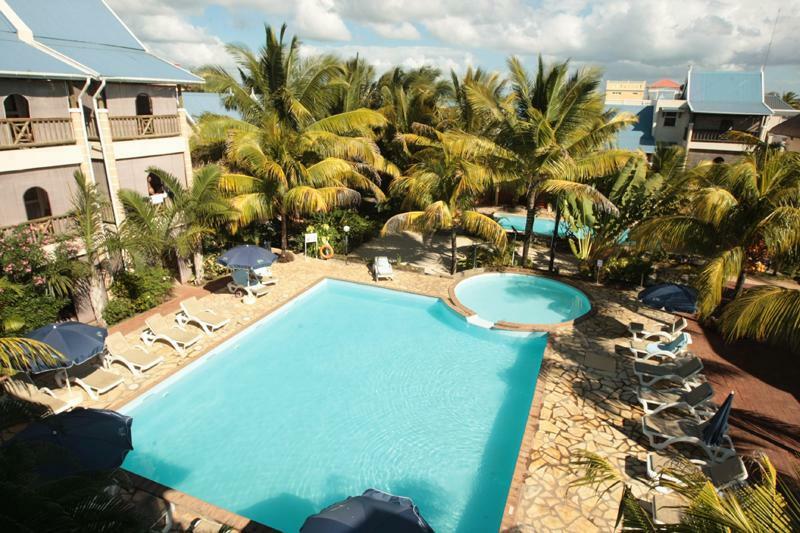 This 3 star hotel is ideally located at the heart of the town of Quatre Bornes and just minutes away from Eben and popular resorts like Flic en Flac. The hotel is also easily accessible from the international airport. The hotel offers a range of accommodation including 2 suites, 5 superior rooms and 43 standard rooms to welcome its guests. All of the rooms are fully equipped with air conditioning, private bathrooms, telephone, television, telephone, safe, hair-dryer and Wi-Fi. Gold Crest Business Hotel includes a charming restaurant serving a nice palette of local and international cuisine. Also, there is an elegant lobby for cosy afternoons with the sounds of live oriental music and songs. The hotel also offers many business facilities like its large 200 seats fully equipped conference room. Gold Nest is another hotel of Gold Group of hotels in Quatre Bornes. 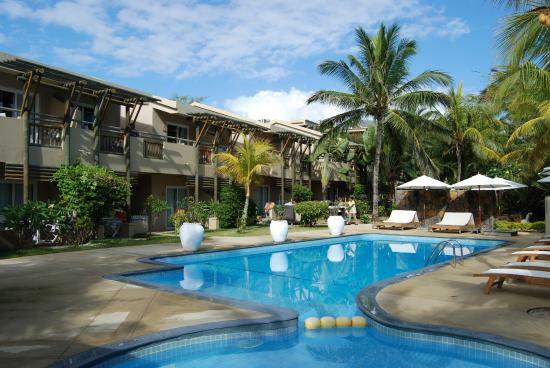 This 2 star hotel is a really economical solution for anyone visiting Mauritius on a tight budget or for a short stay. But, the hotel is better seen as a business hotel in Quatre Bornes. Located next to Gold Crest business hotel, Gold nest offers many business opportunities while remaining close to inner attractions, shopping malls and entertainments. The hotel also has a good place to eat, the Khana Mahal Restaurant, serving Indian dishes and also European & Chinese cuisine. The hotel comprises of 33 furnished rooms, including 3 suites and 30 standard rooms. As you would expect in a regular business hotel, a conference room is at your disposal. This fully equipped function room has a total capacity of 25 places. For cosy afternoons, the bar offers a variety of wines, spirits and beers. The S.S.R. International Airport is at 30 km or a half an hour drive away. Flic en Flac, one of the island’s most beautiful beach is just 12 km away. The bus terminal as well as the taxi stand and other amenities are only a stone throw away. Hennessy Park Hotel is a classy business hotel with an innovative concept offering a flavoursome blend of modernity and freshness, and of course a touch Mauritian hospitality. The 4 star business hotel is located in Eben, the high-tech Cybercity half way between the Capital Port Louis and the S.S.R International Airport. The hotel consists of 108 rooms of which 104 are standard rooms and 4 junior suites. All of the hotel’s rooms and suites are fully equipped with free Wi-Fi, tea & coffee corner, in-room safe, hairdryer etc. The rooms have private bathrooms and suites are equipped with a bathtub. Hennessy Park Hotel has a total of 3 restaurants and 2 bars. You can also enjoy from the hotel’s spa and outdoor swimming pool. Free Wi-Fi is available in all common areas of the hotel, in the conference area and business centre. The hotel has 4 spa rooms for body and face treatments. The spa also has a sauna and hammam.